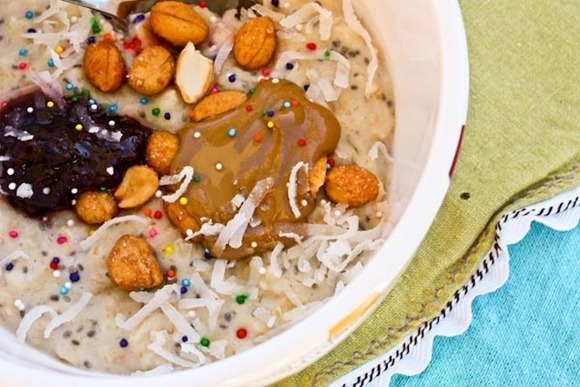 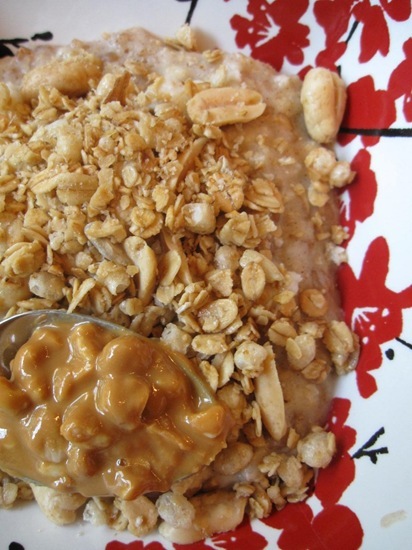 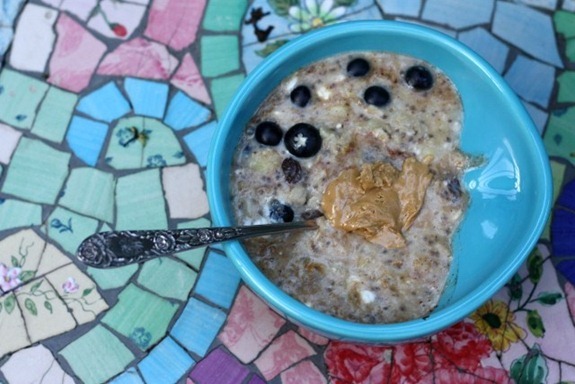 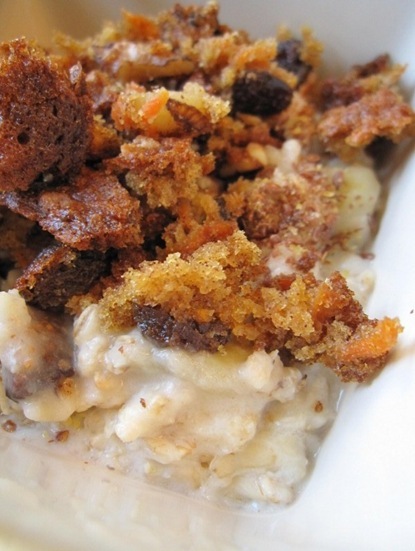 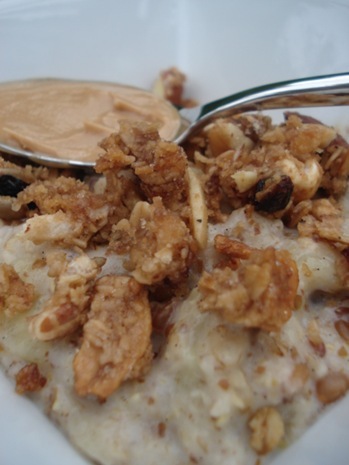 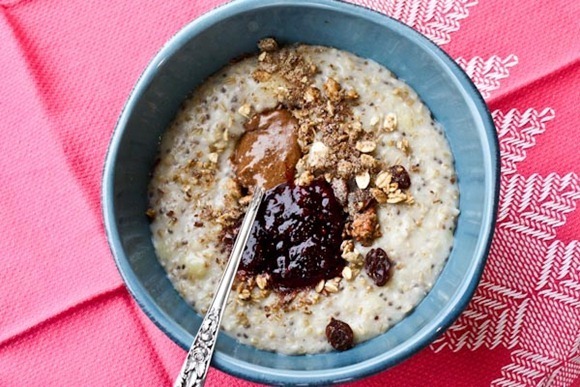 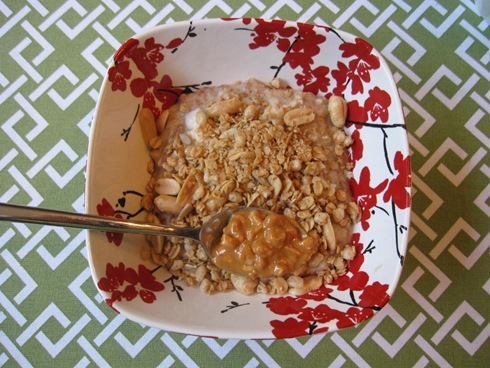 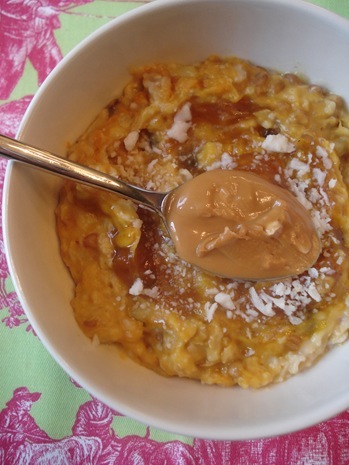 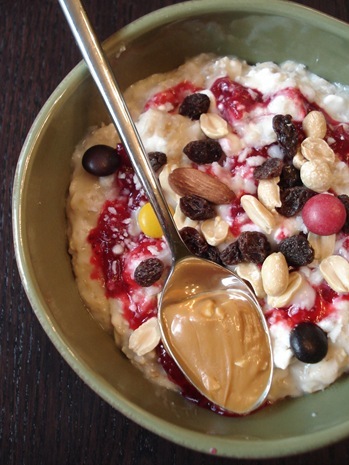 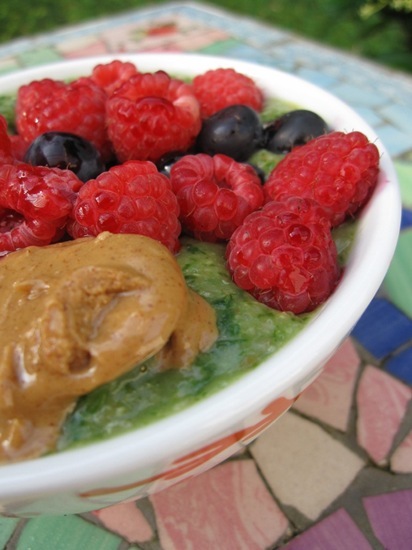 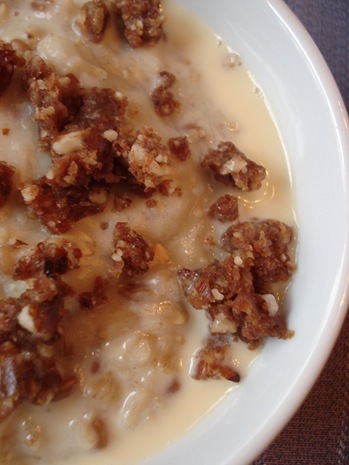 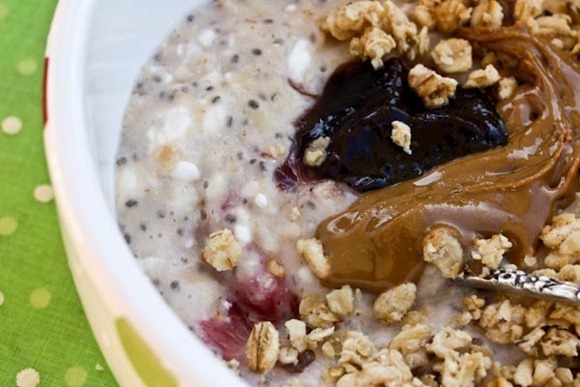 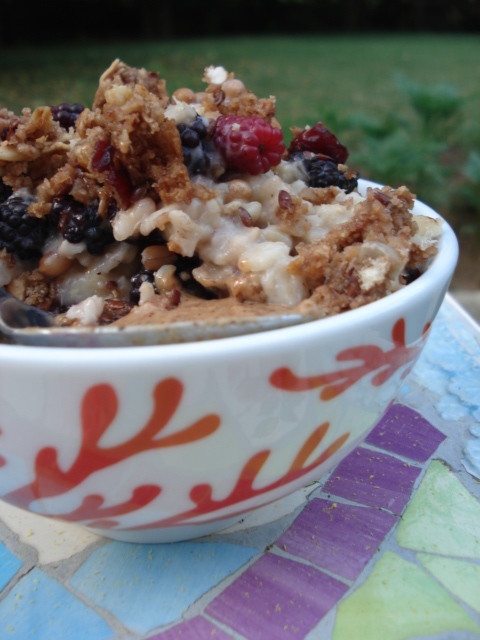 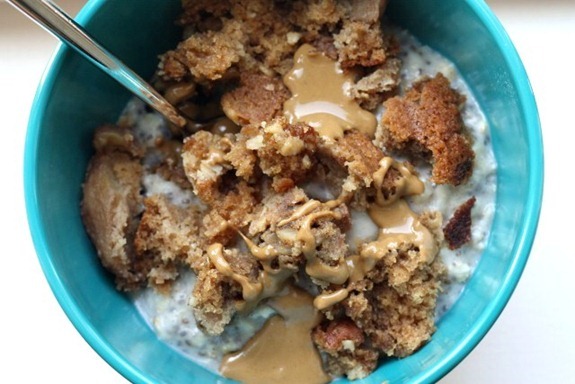 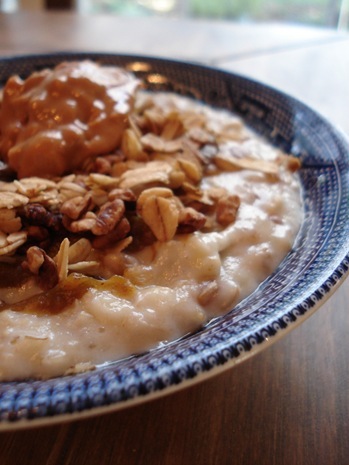 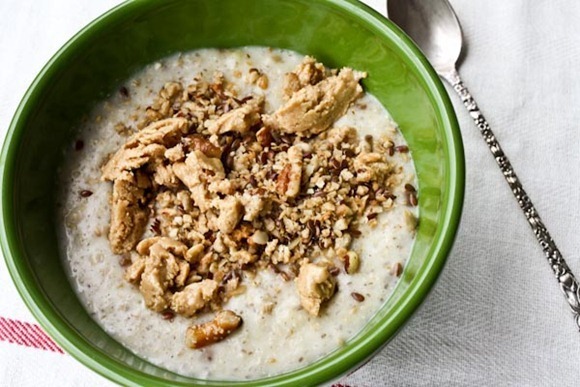 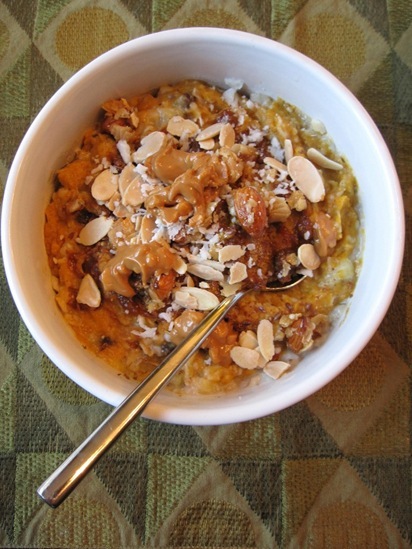 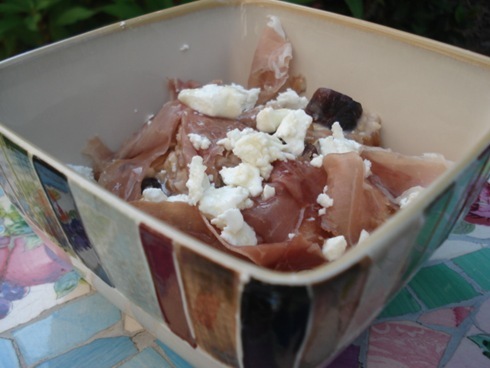 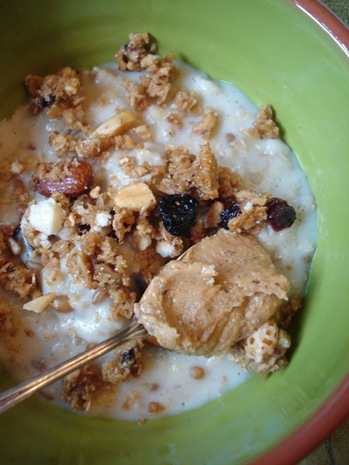 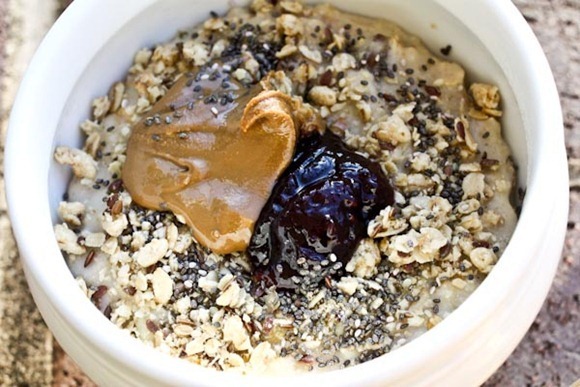 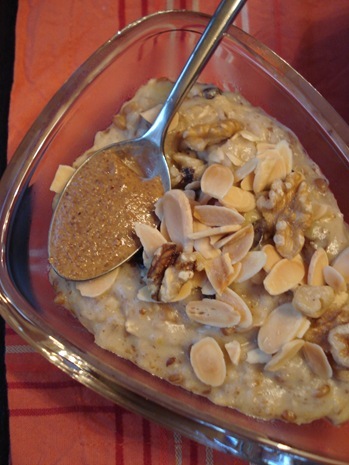 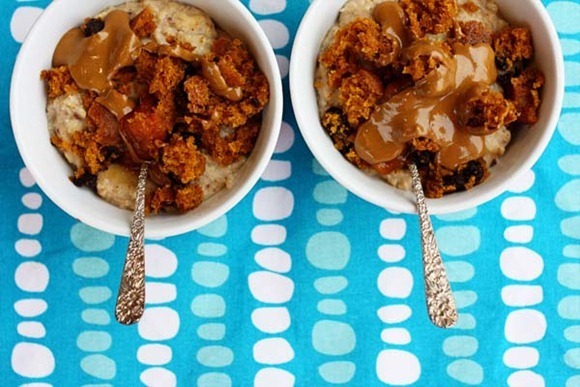 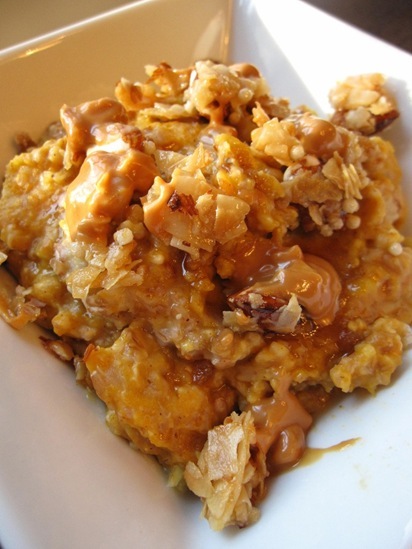 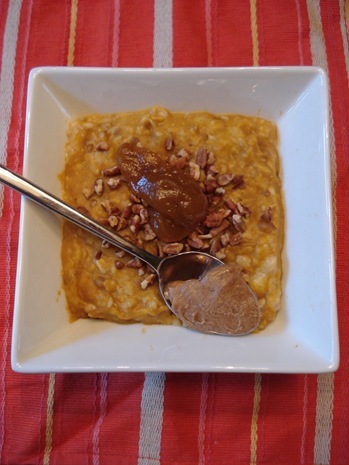 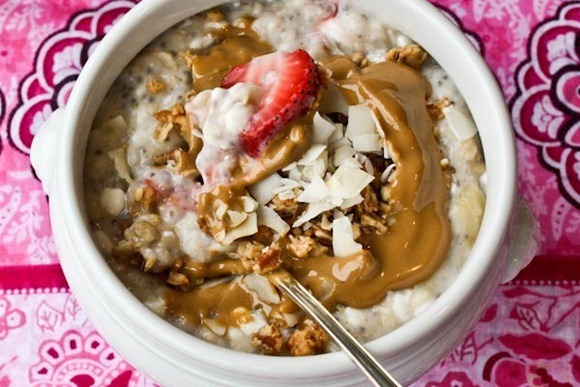 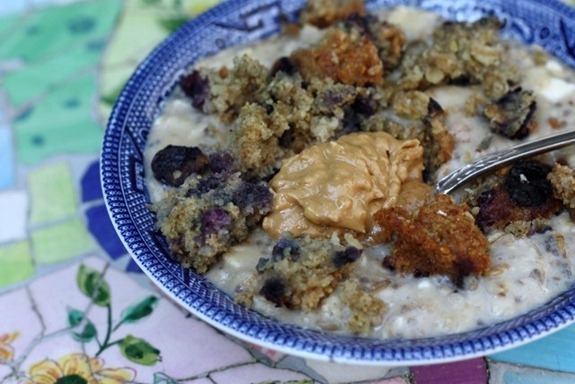 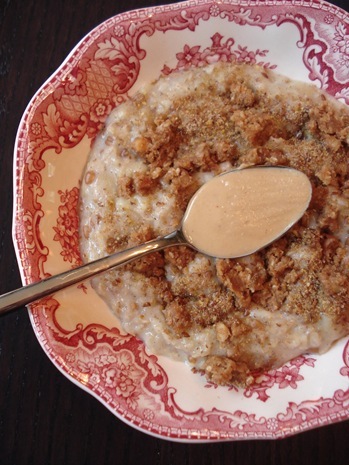 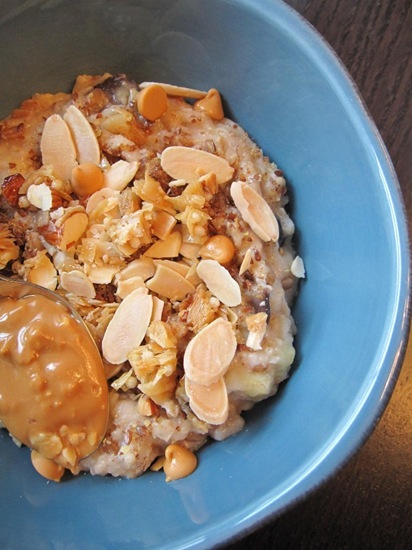 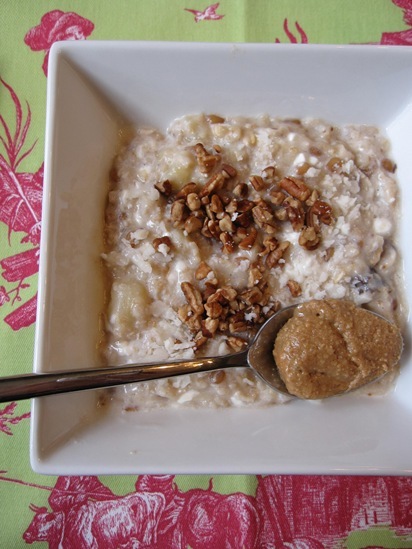 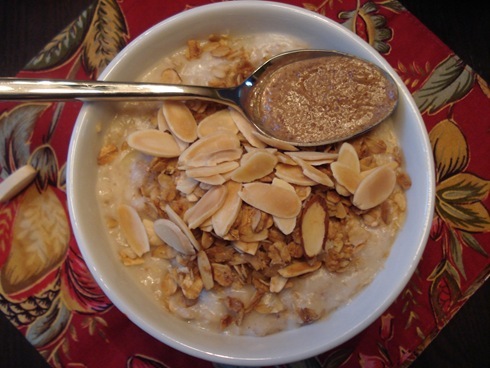 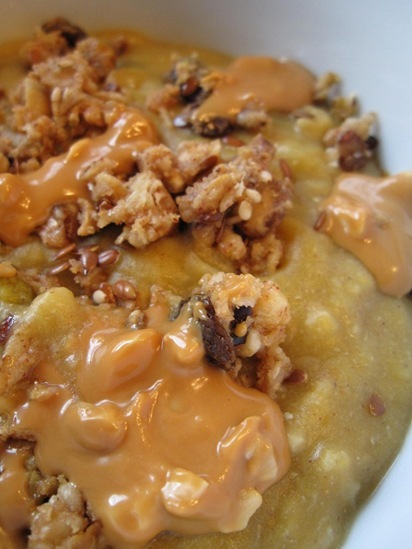 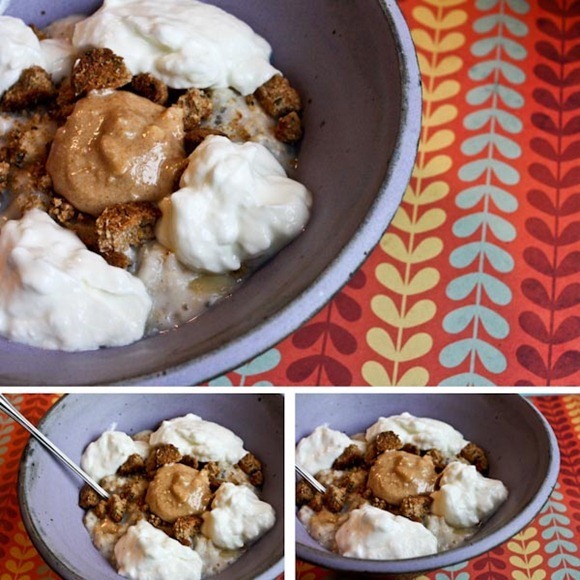 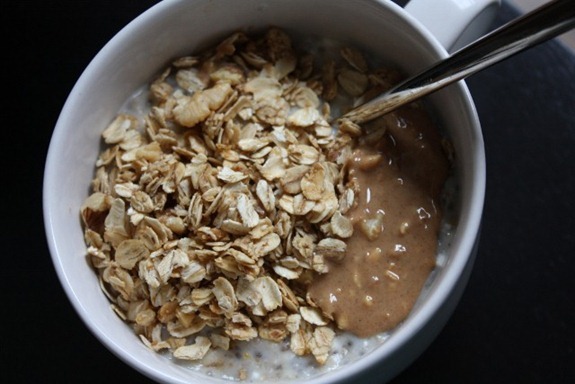 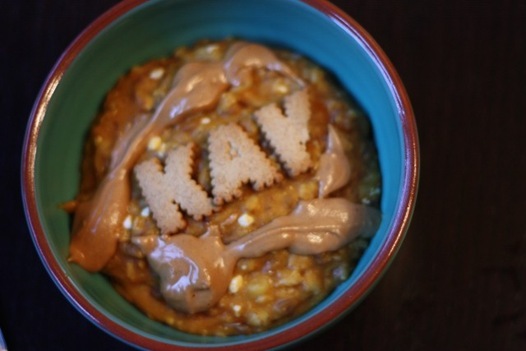 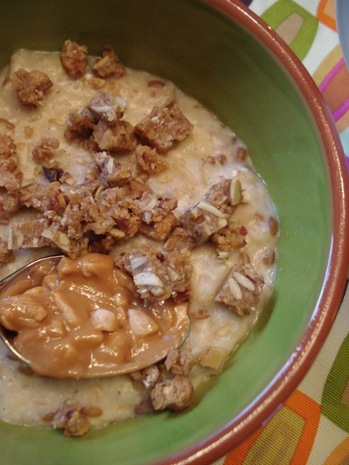 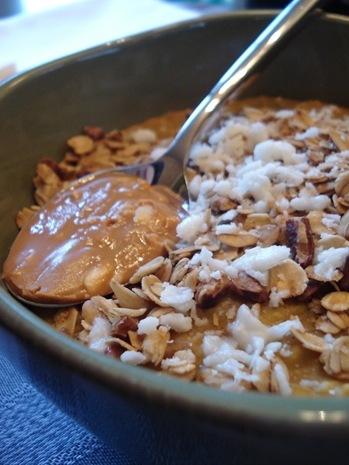 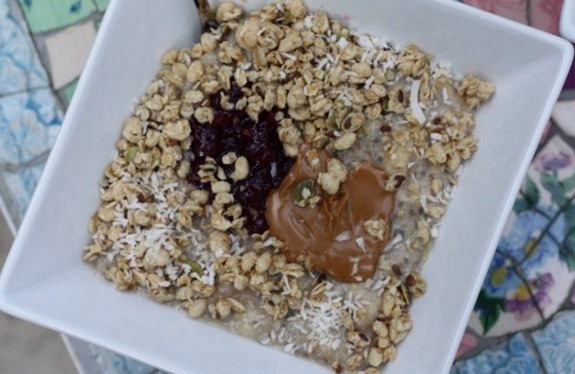 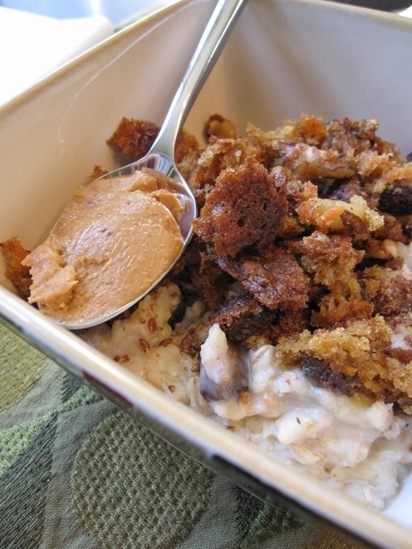 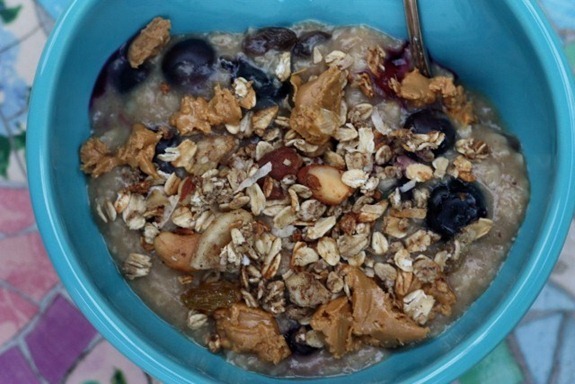 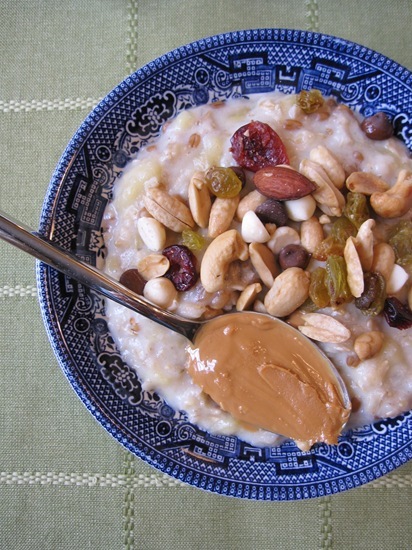 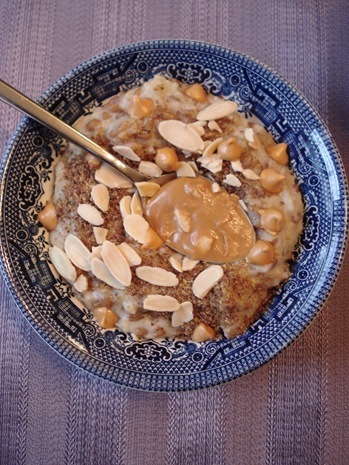 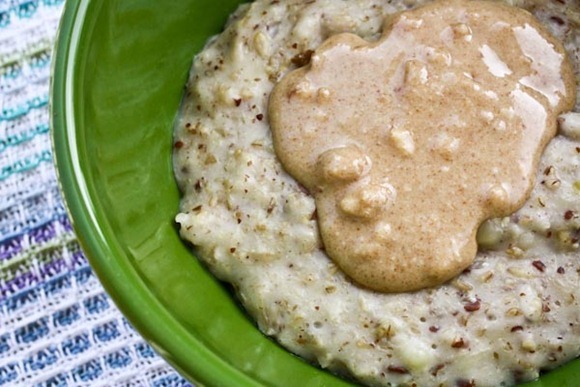 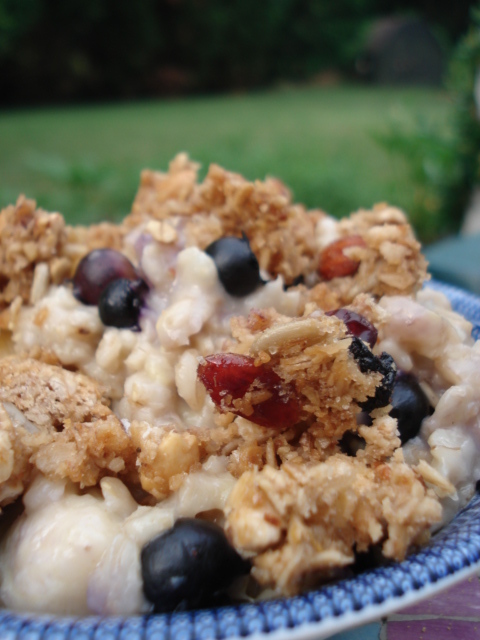 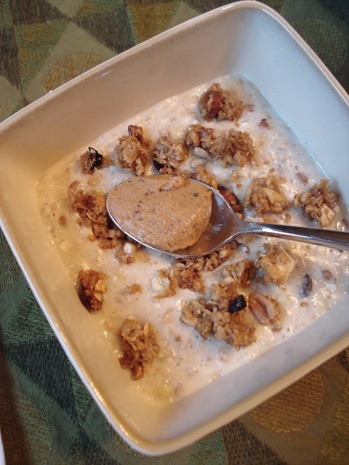 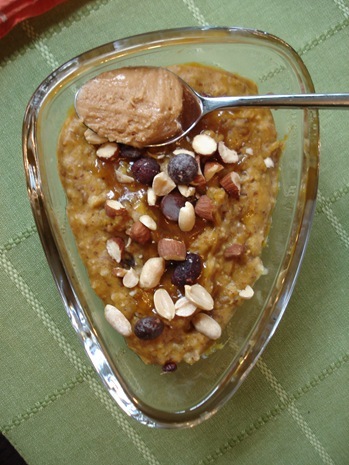 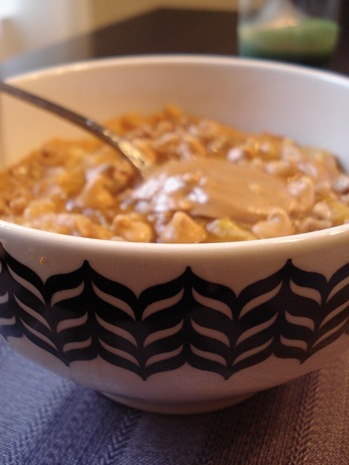 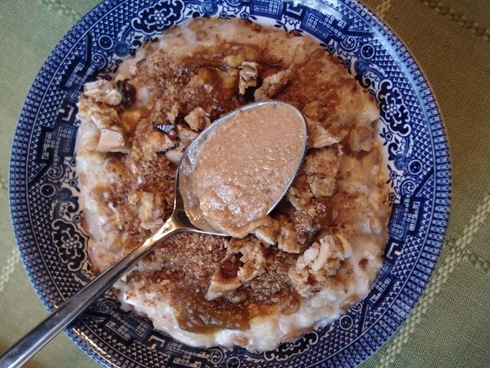 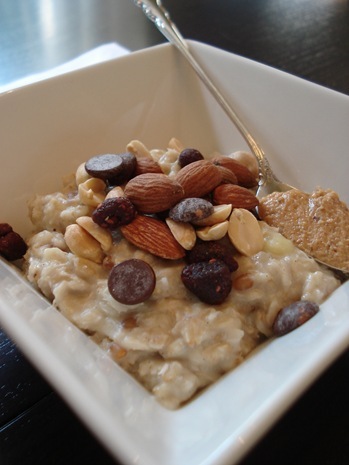 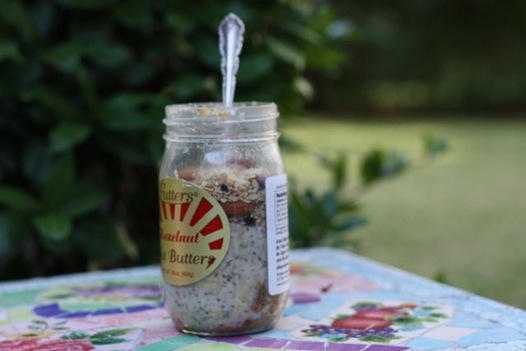 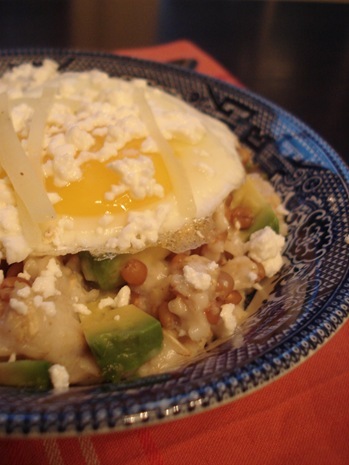 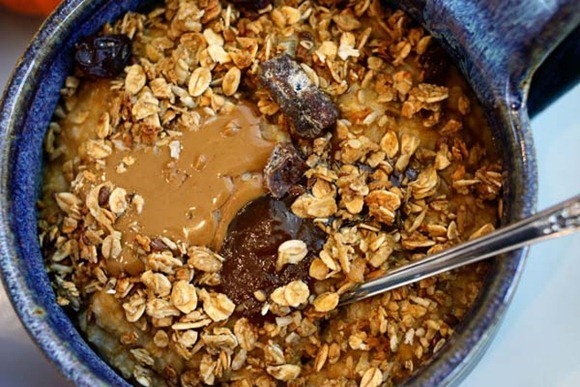 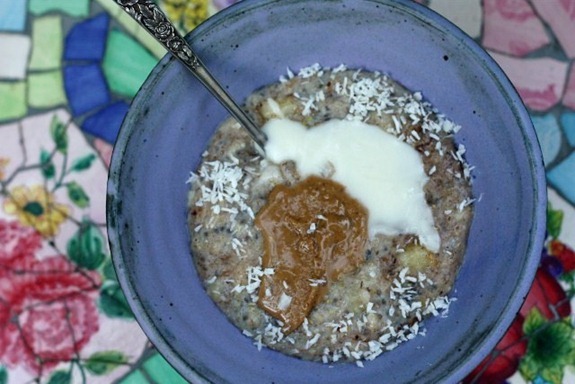 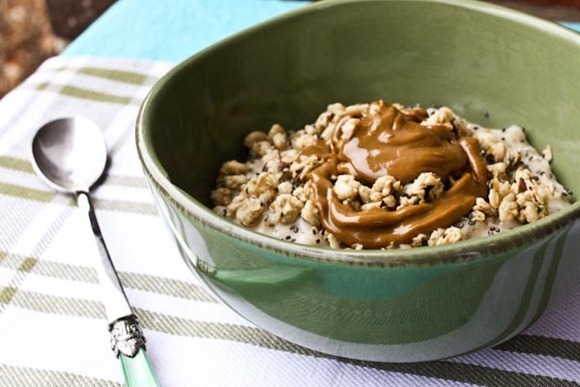 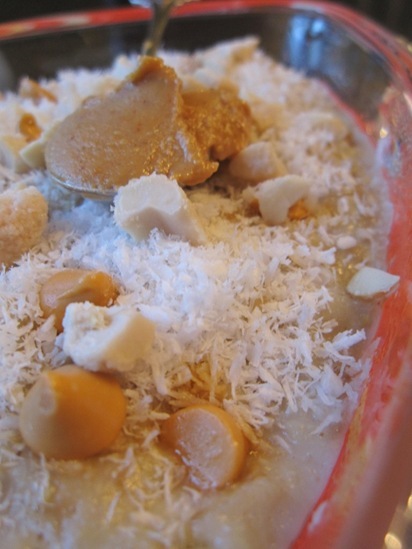 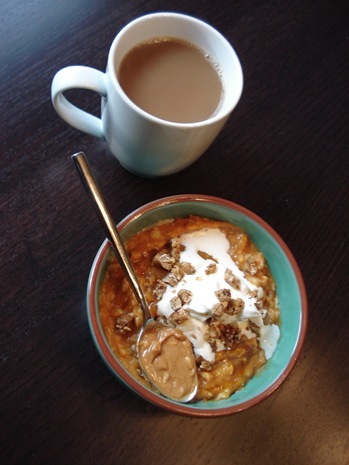 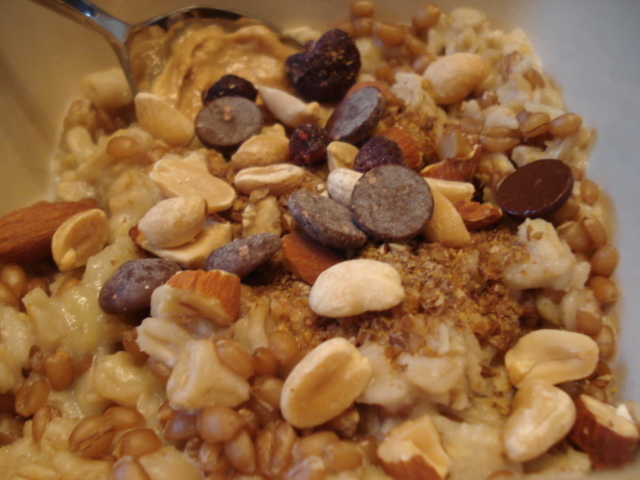 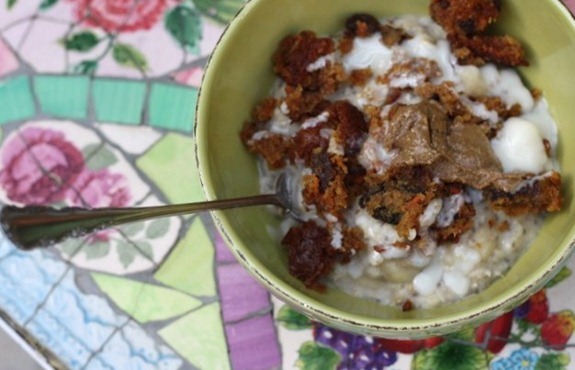 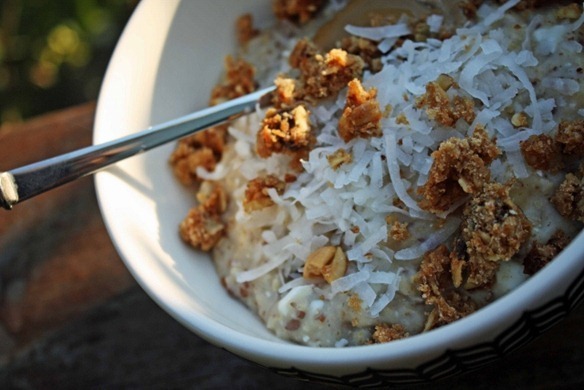 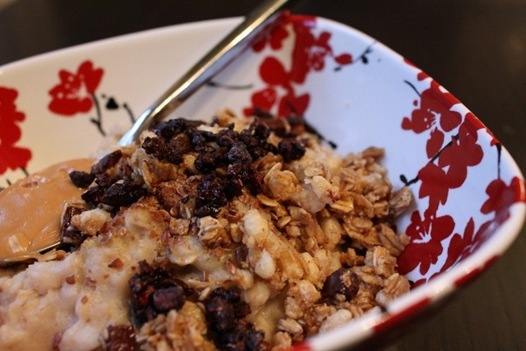 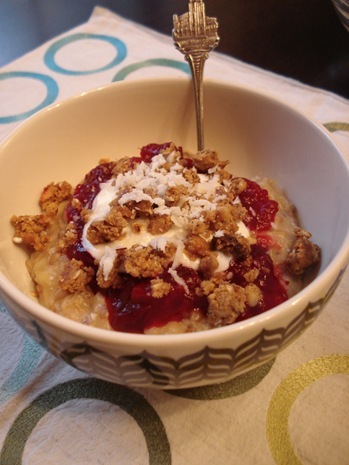 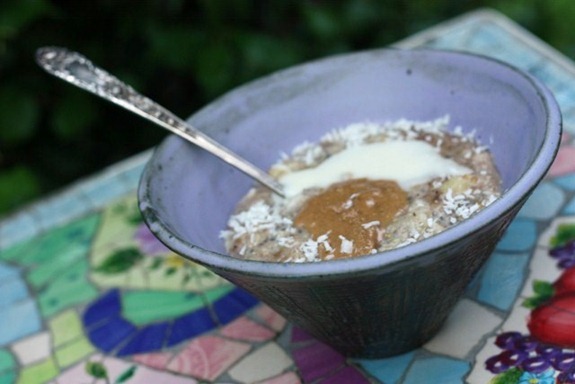 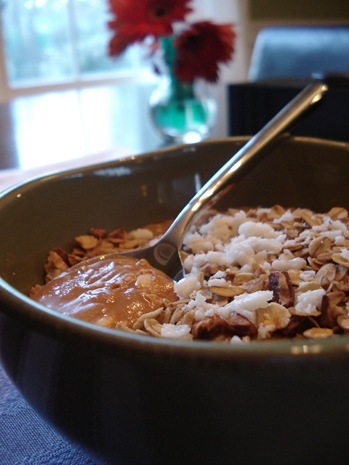 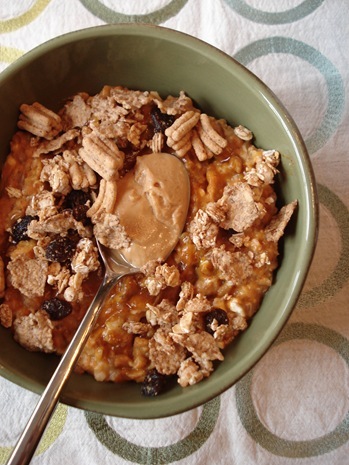 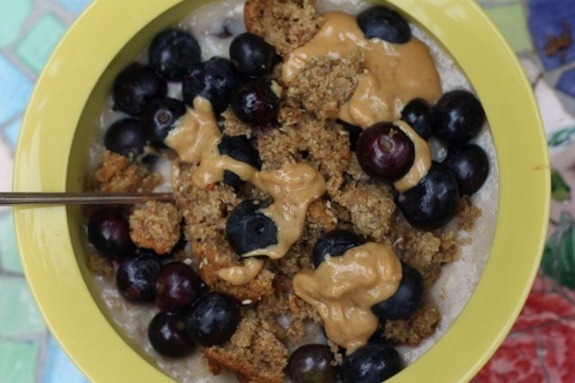 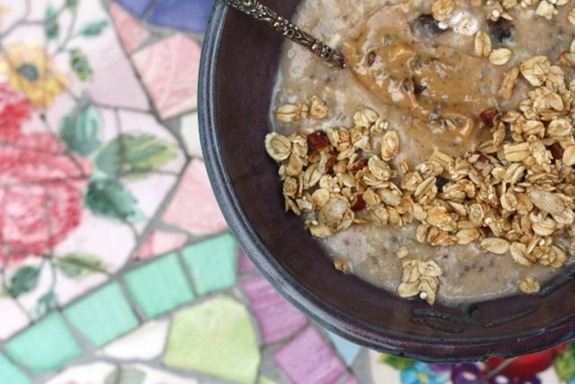 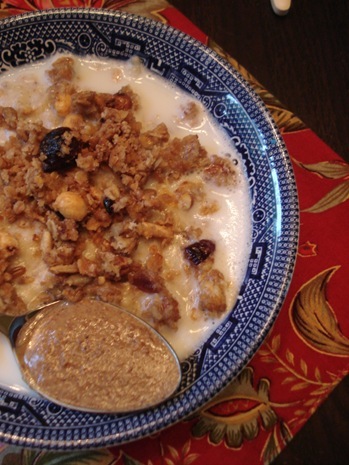 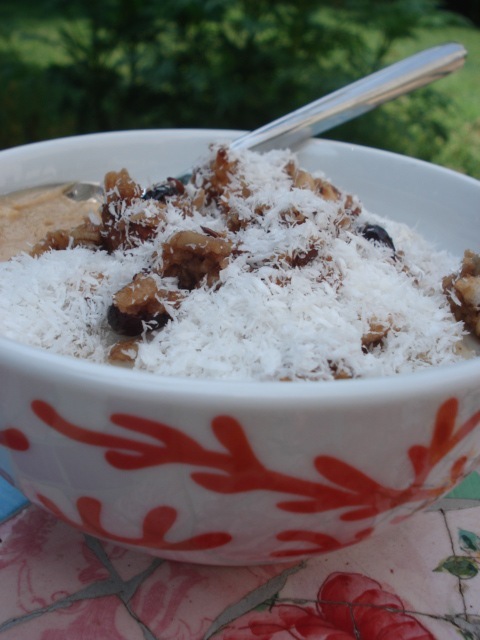 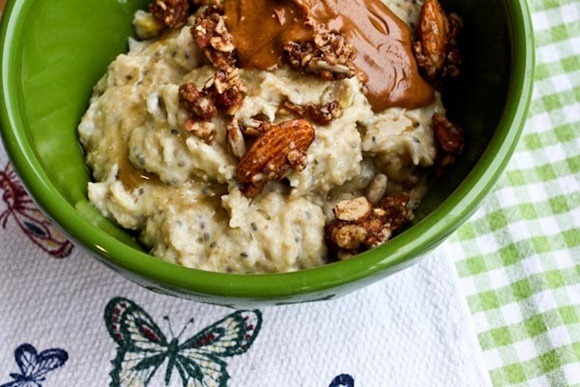 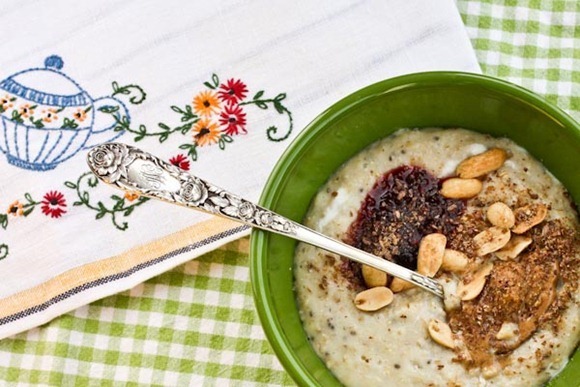 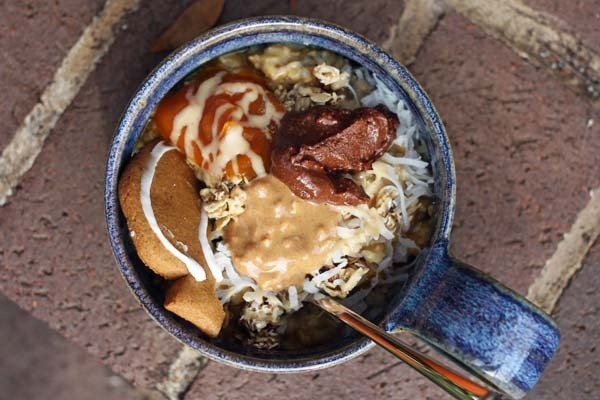 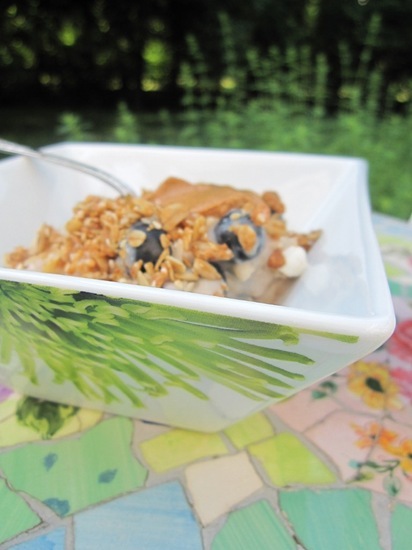 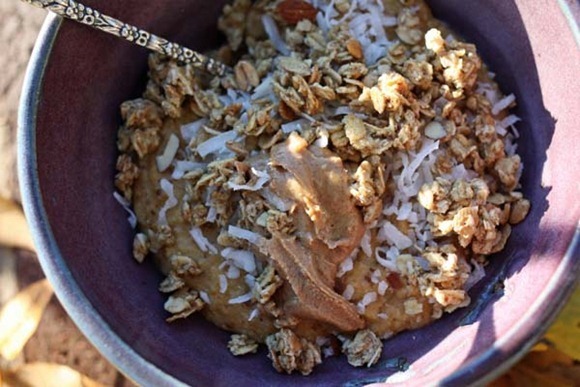 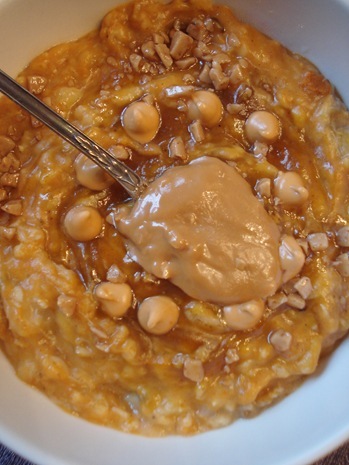 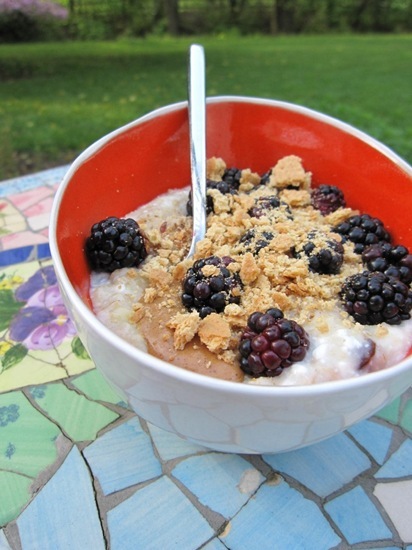 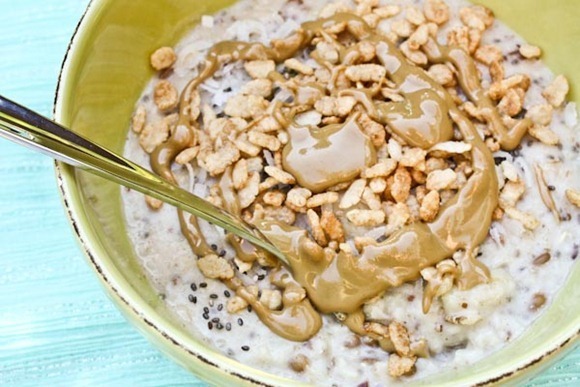 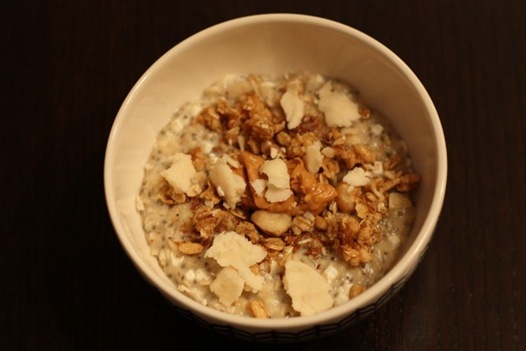 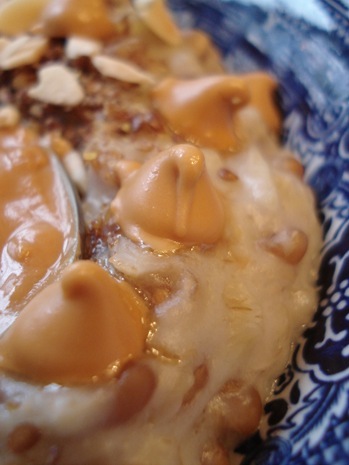 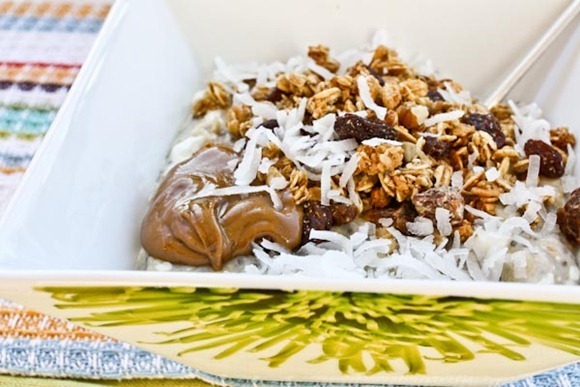 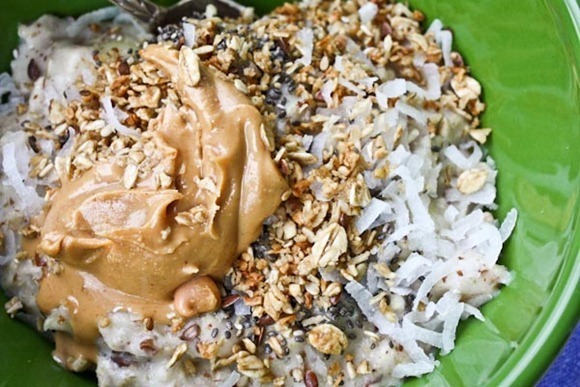 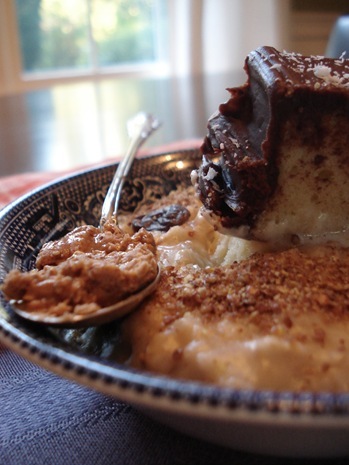 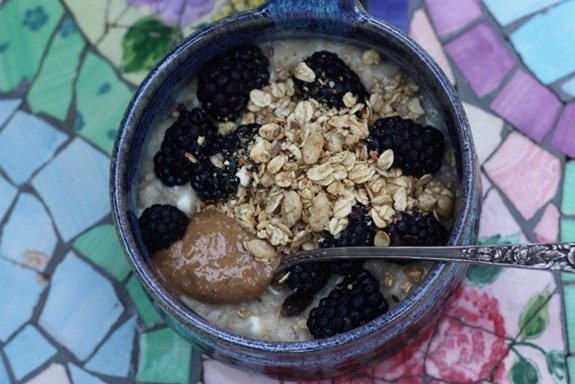 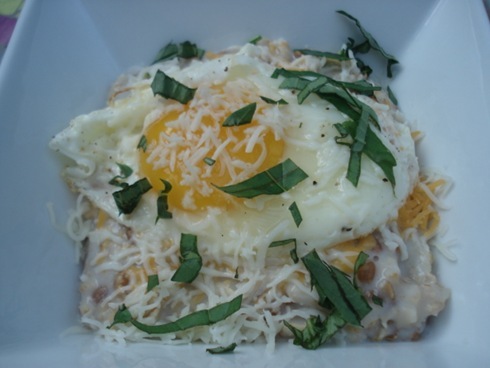 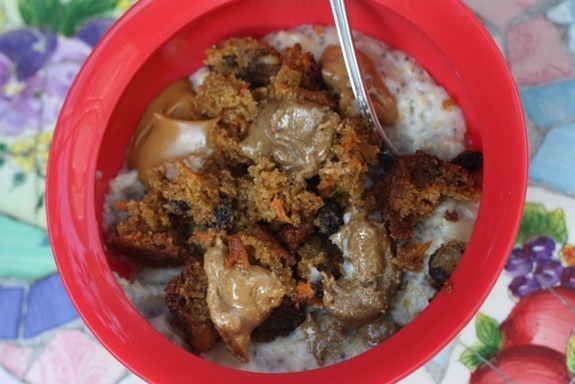 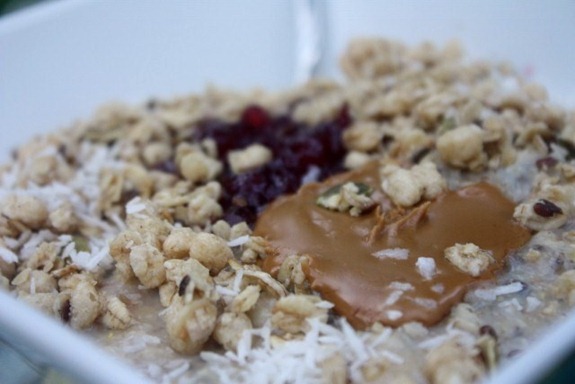 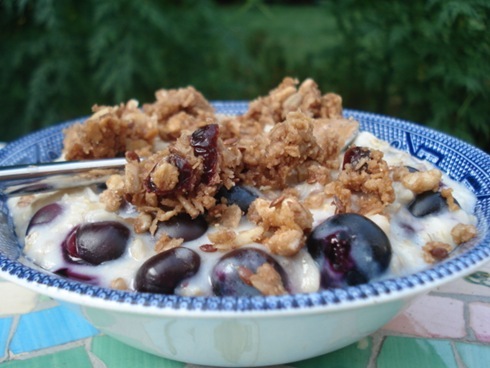 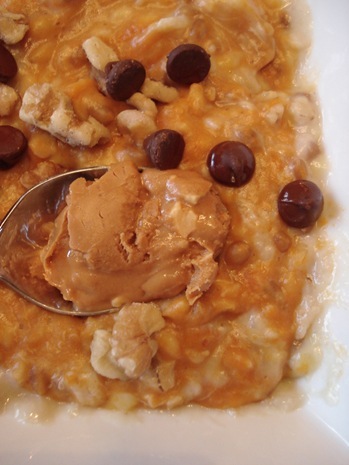 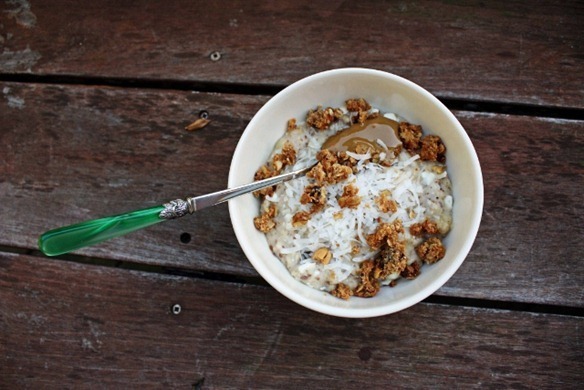 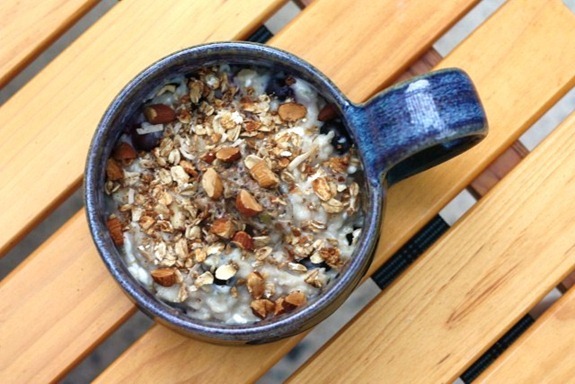 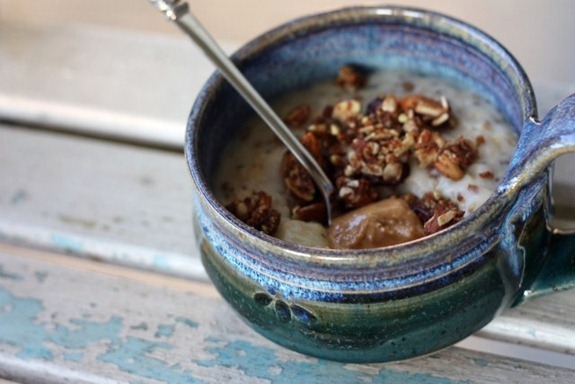 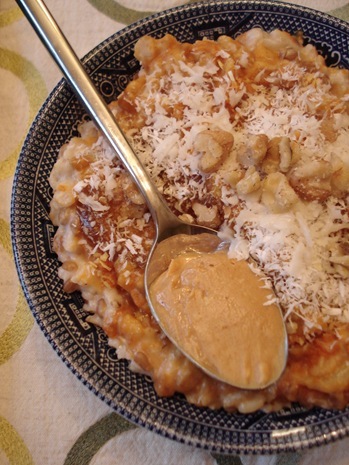 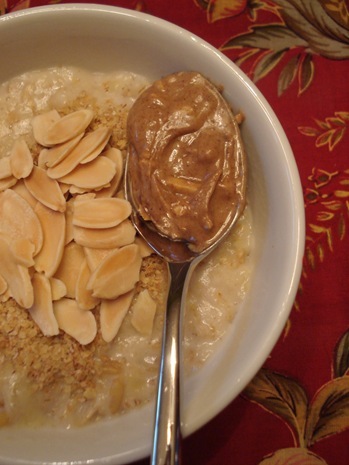 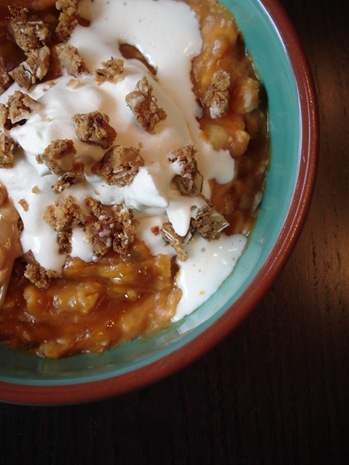 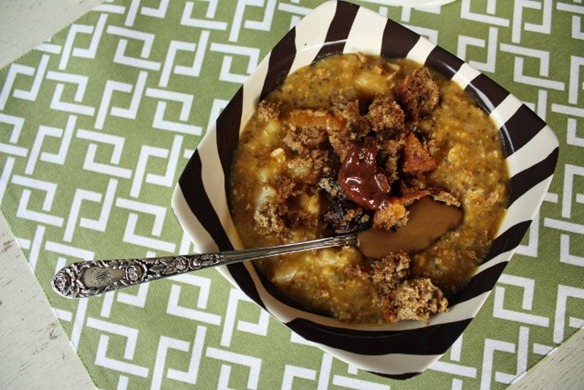 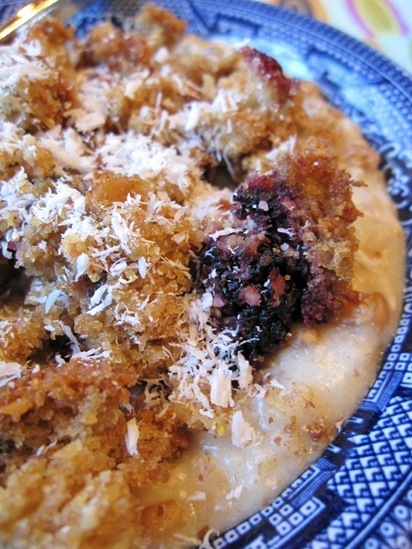 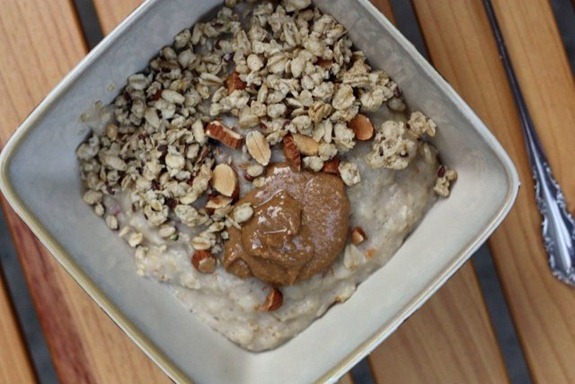 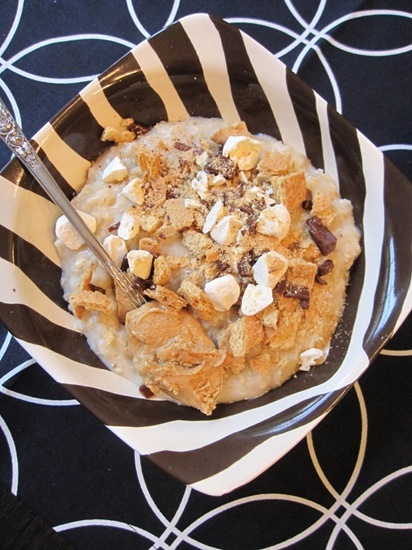 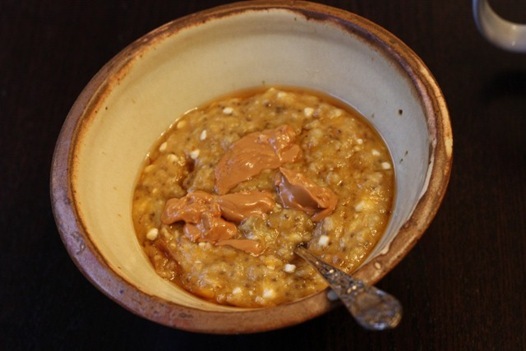 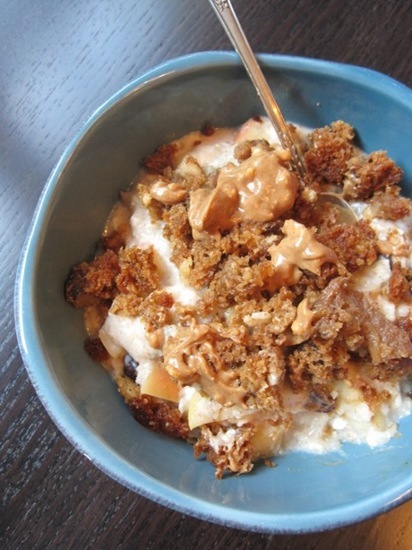 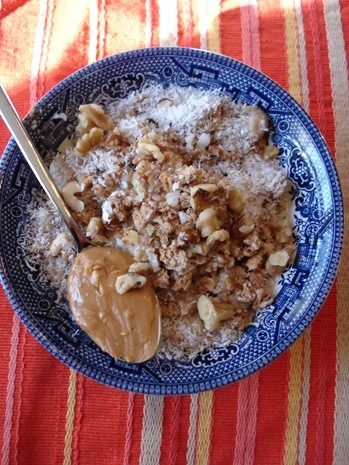 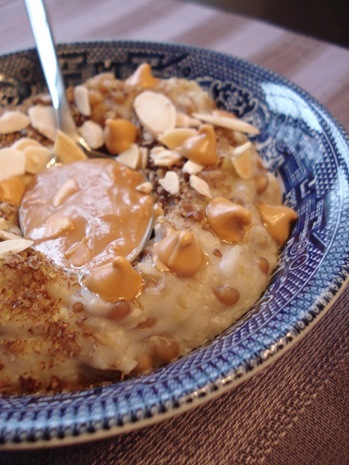 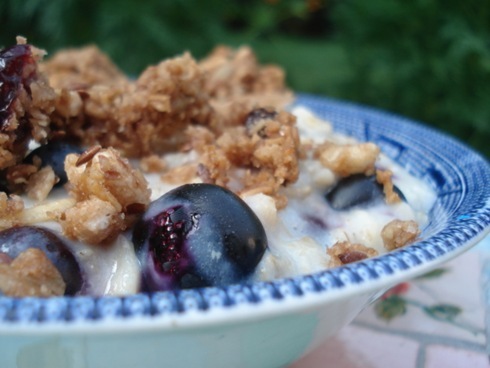 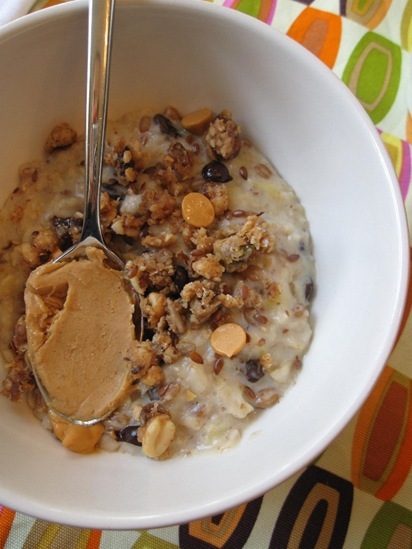 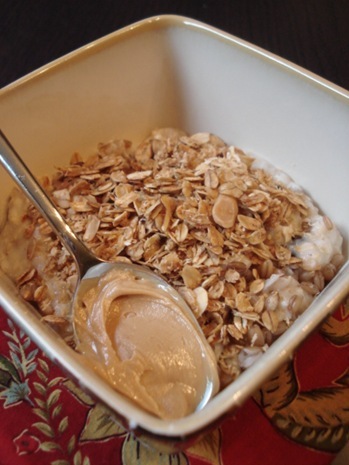 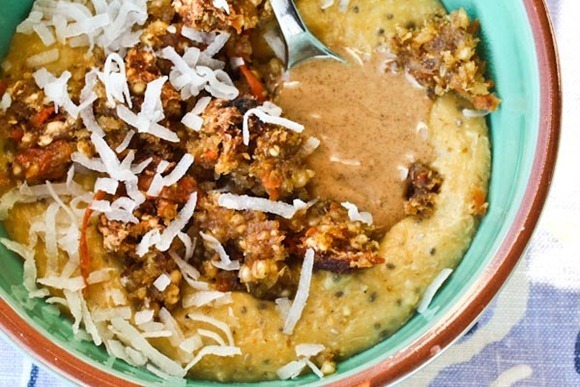 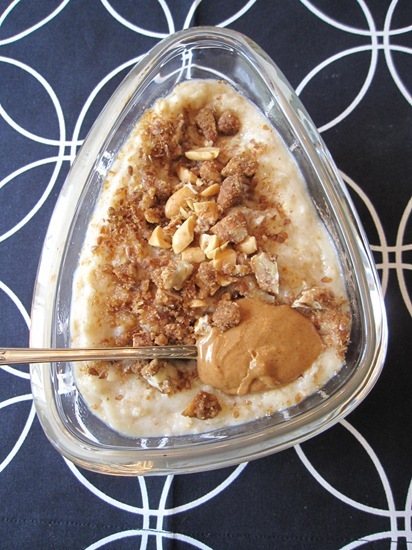 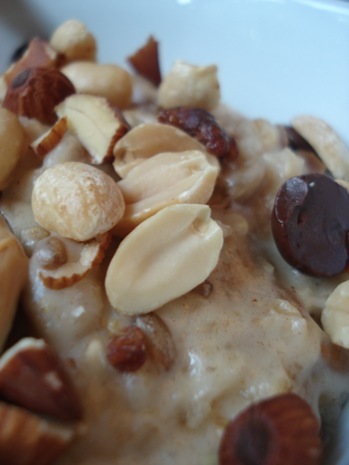 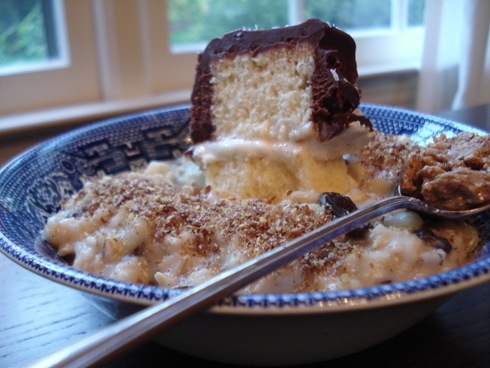 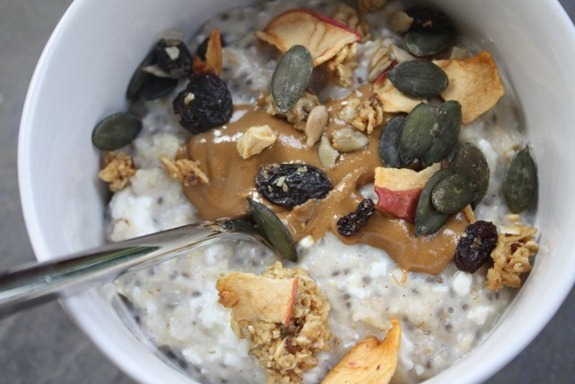 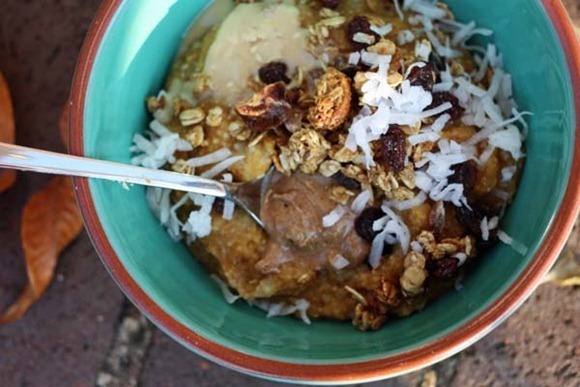 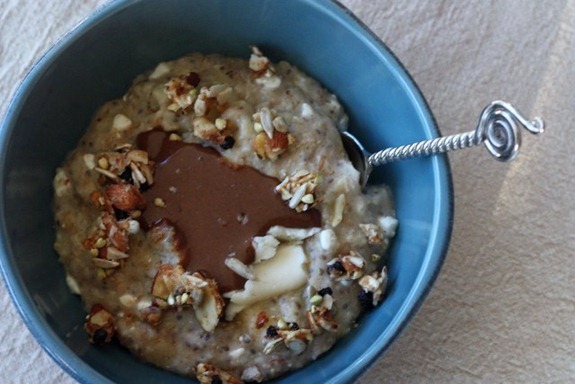 The whipped method produces a really creamy bowl of oatmeal. 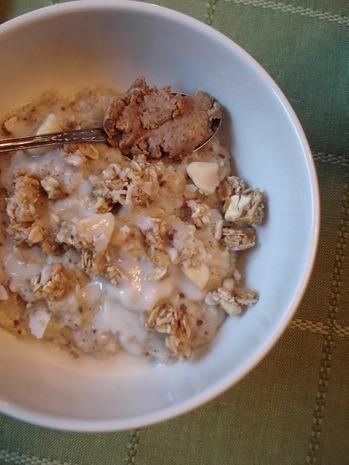 The bananas basically disappear, so there are no chunks. 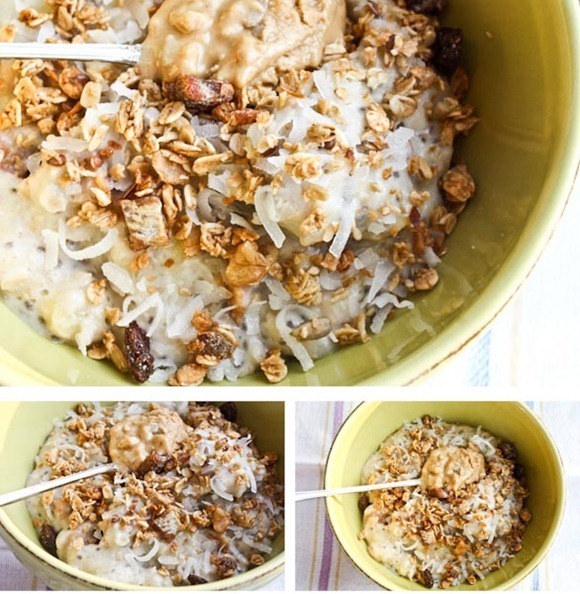 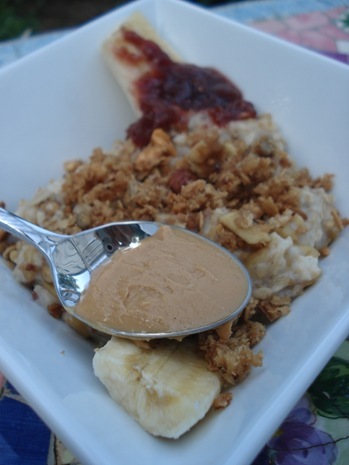 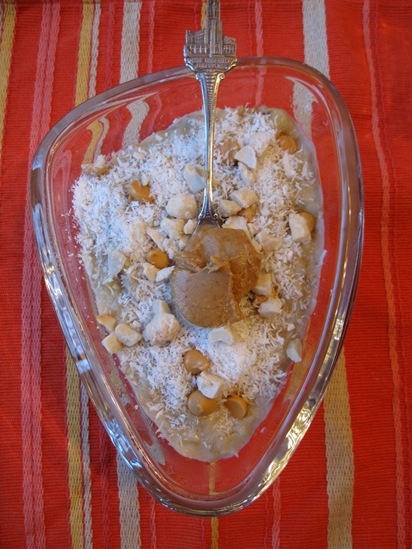 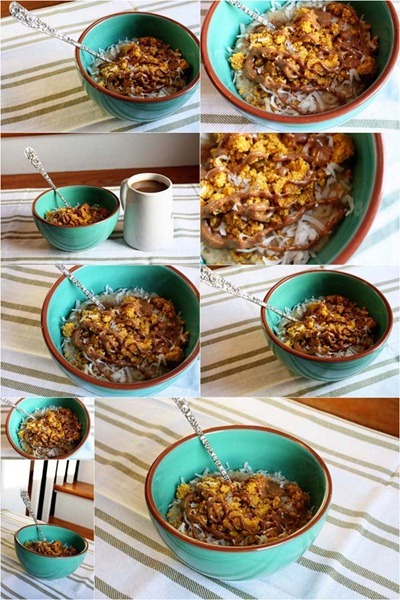 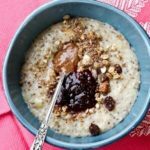 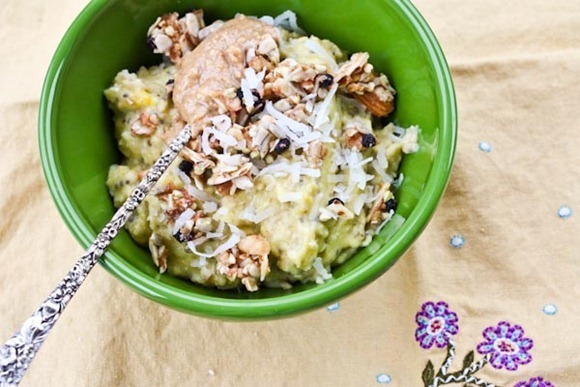 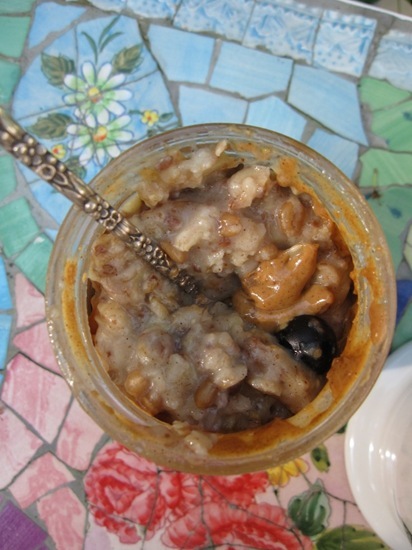 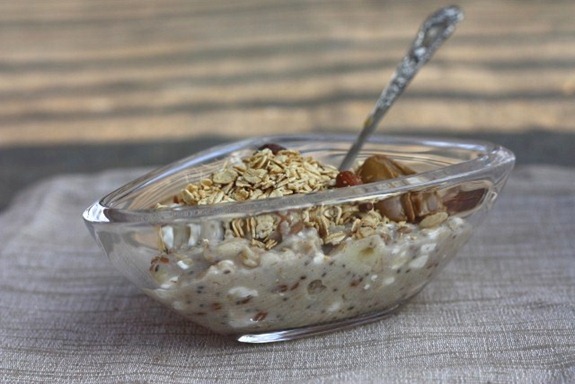 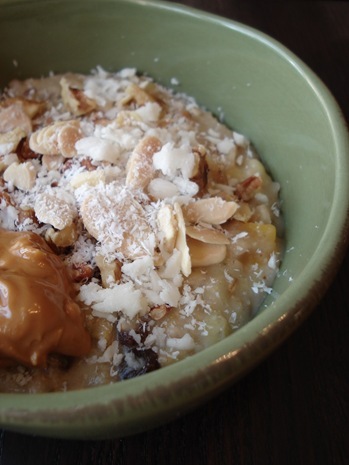 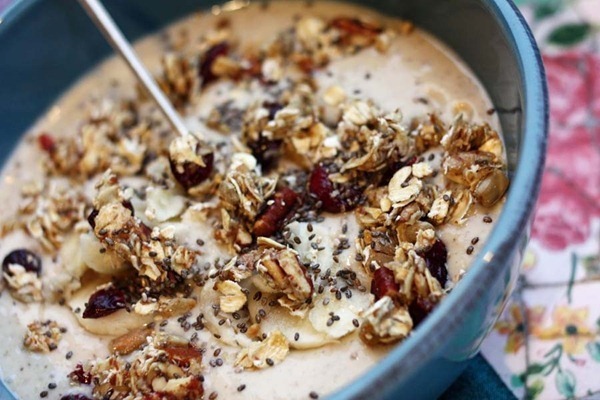 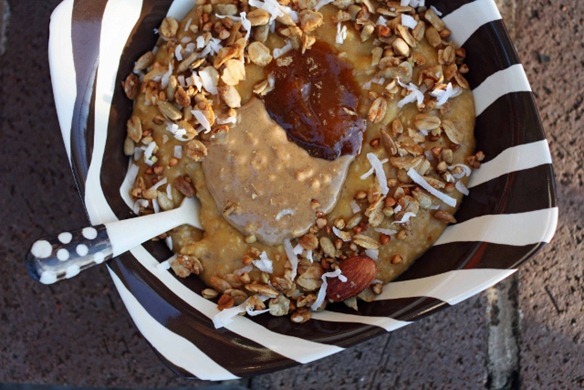 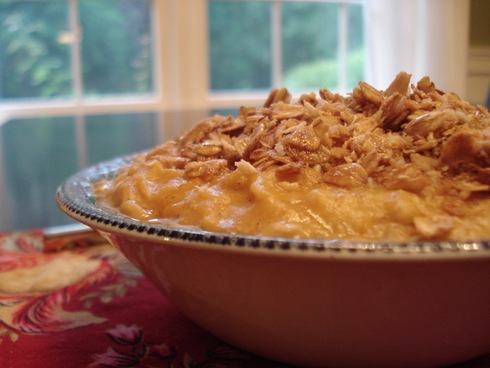 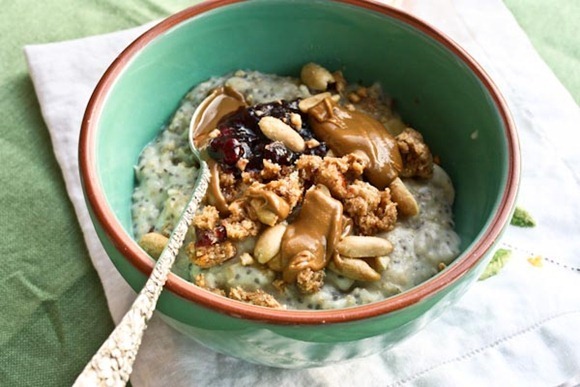 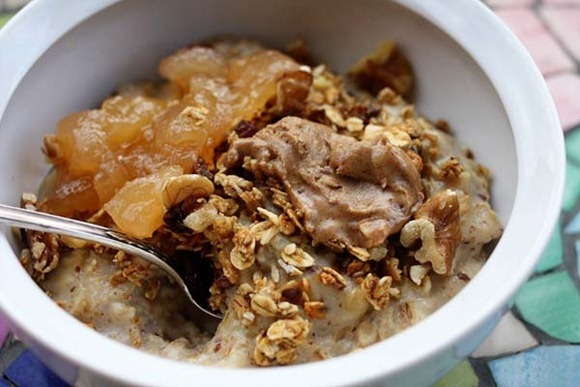 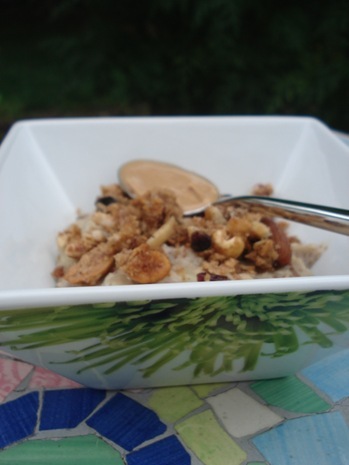 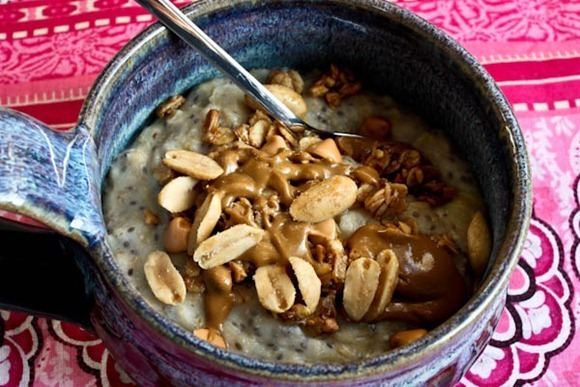 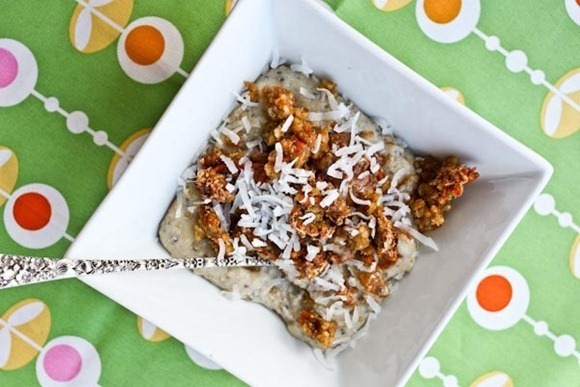 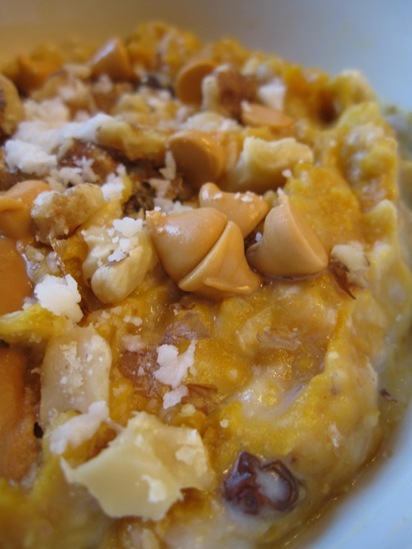 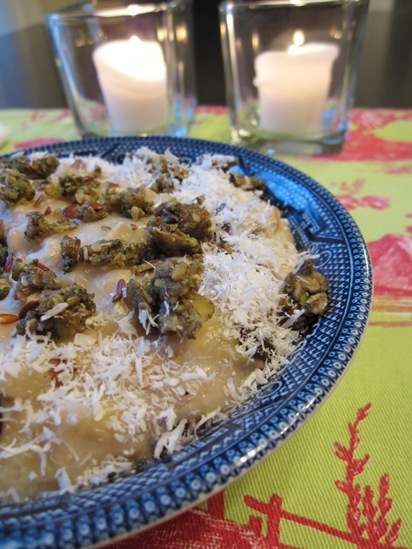 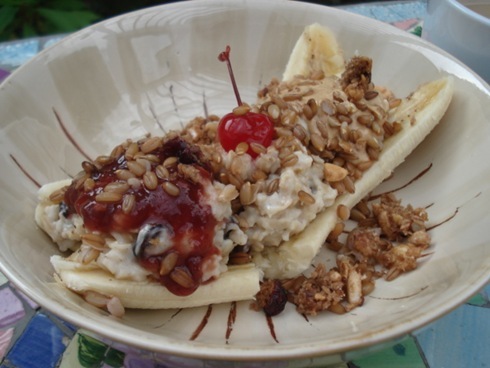 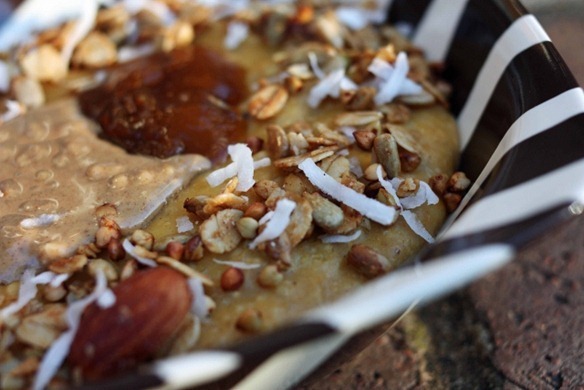 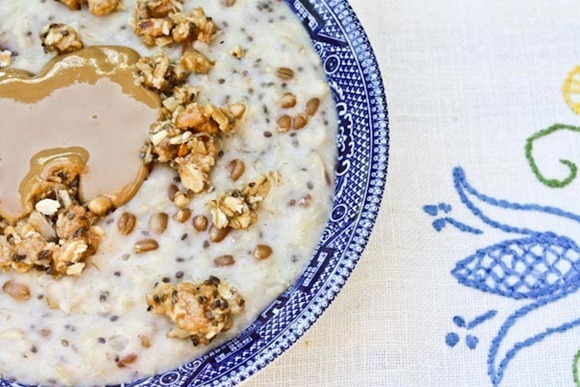 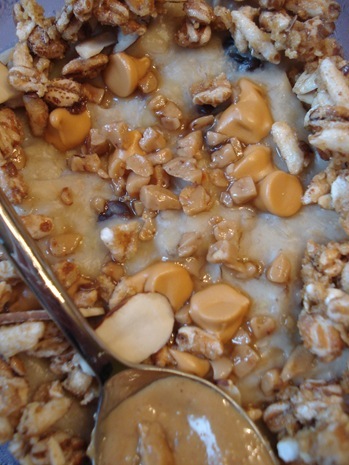 Since banana is an emulsifier of sorts, this method suspends the oats into a thick, creamy consistency and the whole bowl is sweeter because the banana's sweetness permeates throughout. 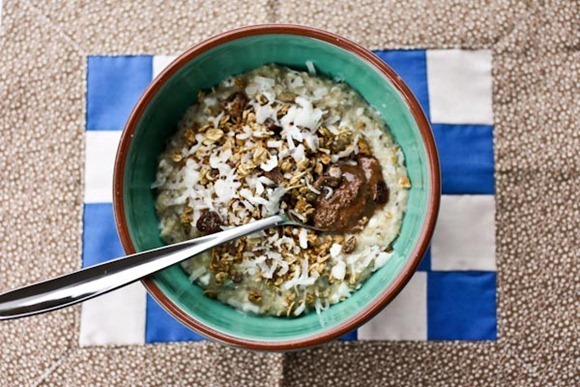 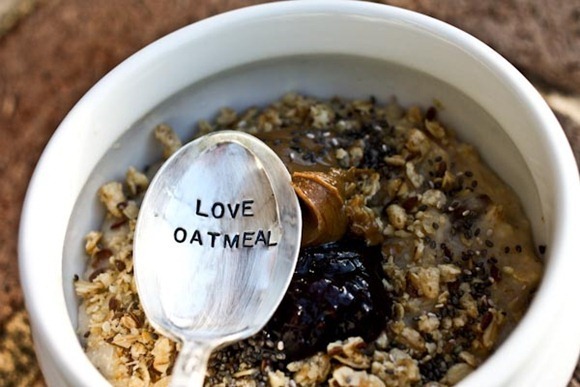 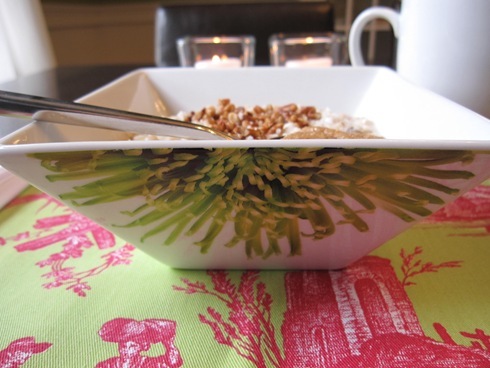 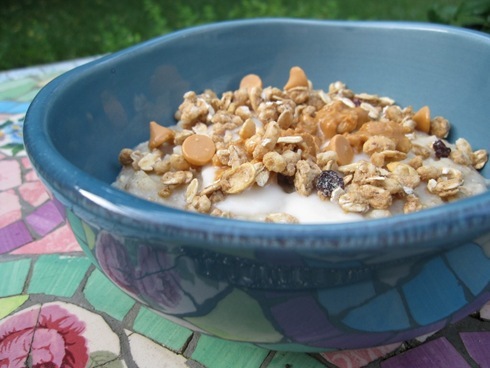 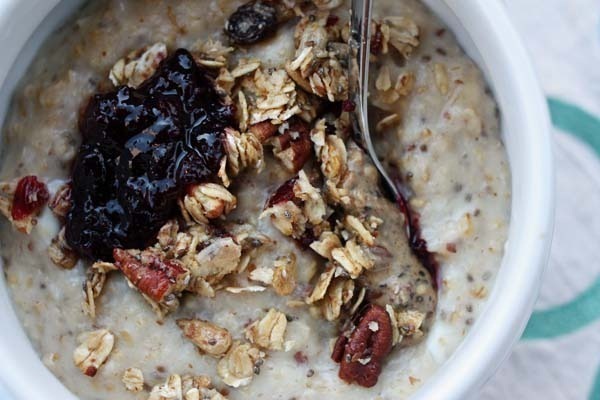 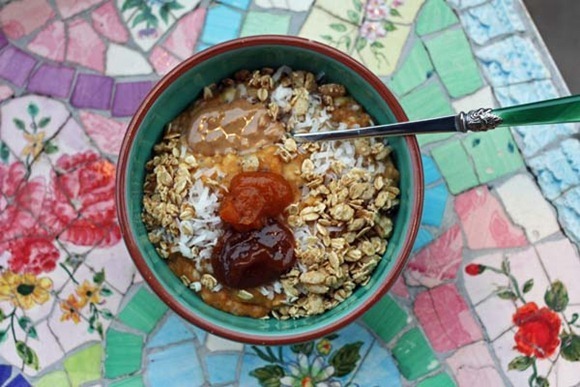 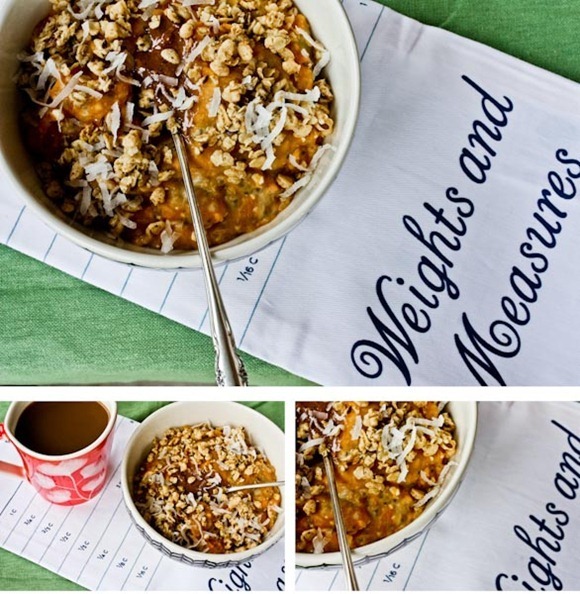 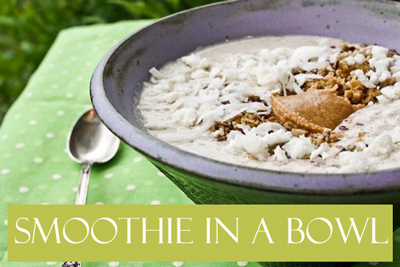 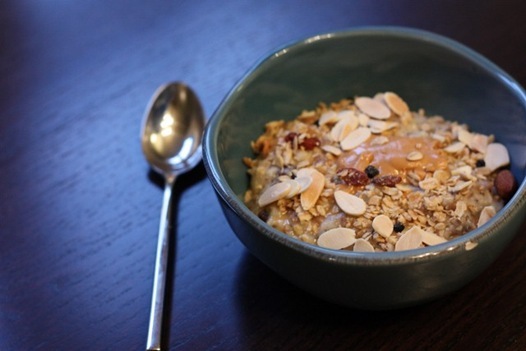 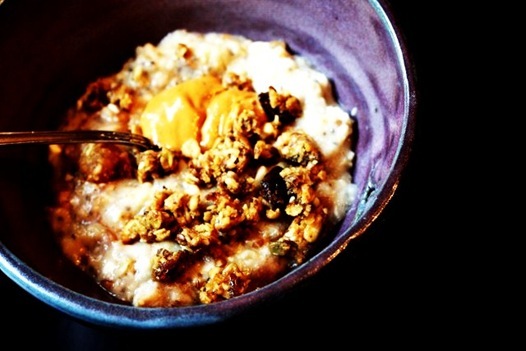 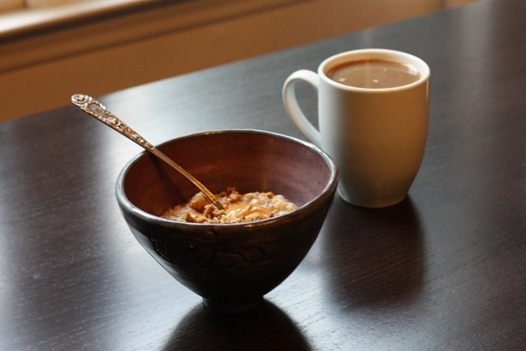 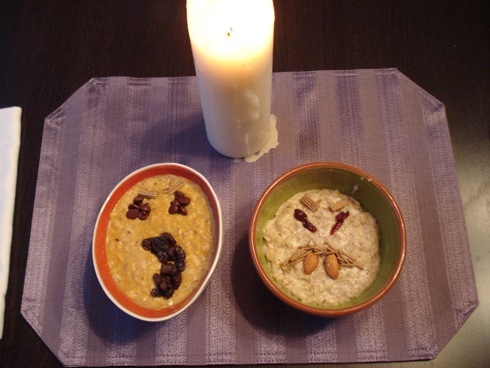 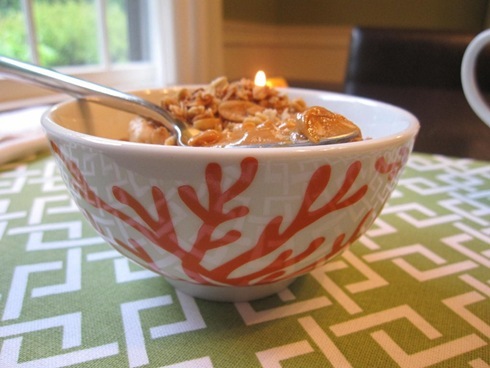 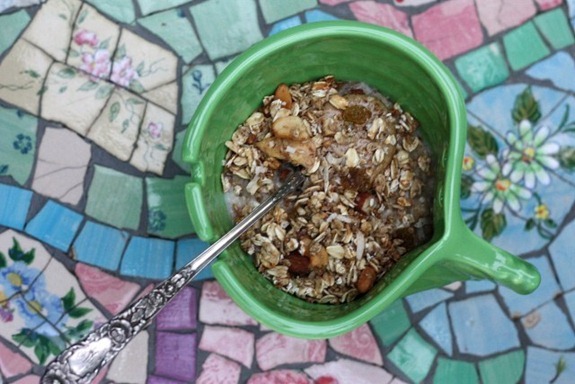 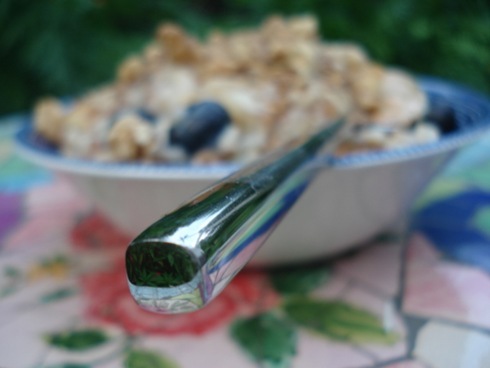 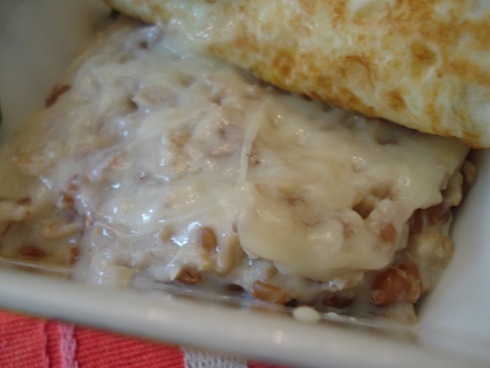 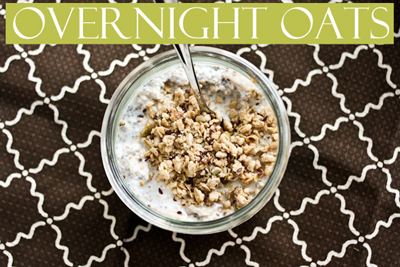 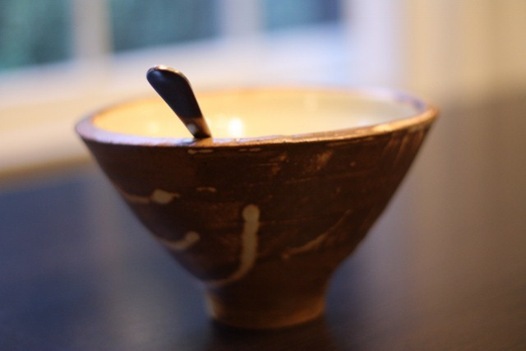 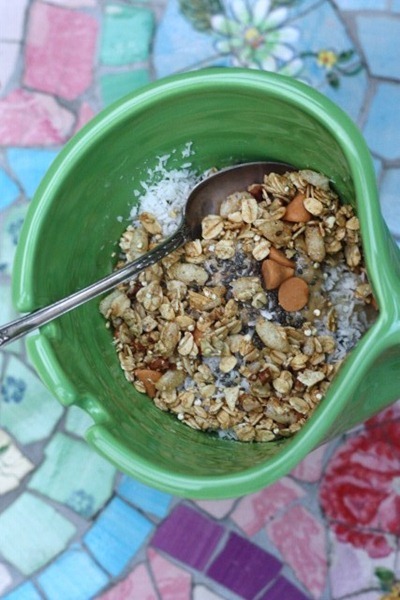 Start by combining rolled oats, water, and milk in a saucepan over medium heat. 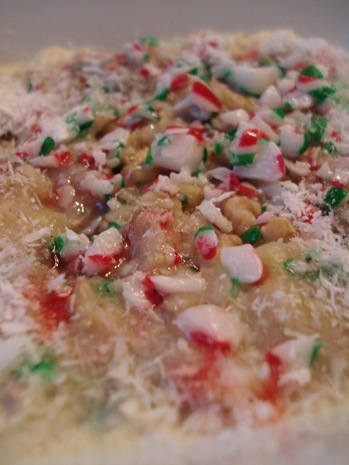 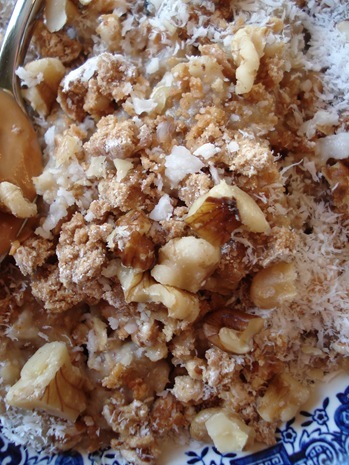 Slice a banana into VERY thin pieces, leaving just a few bigger chunks. 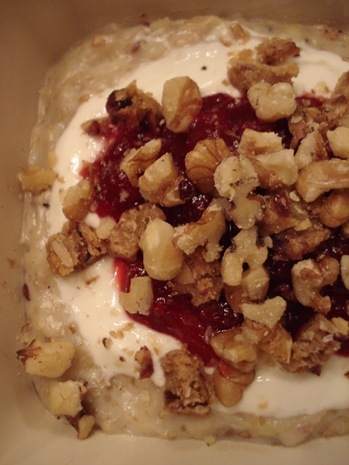 Walk away for a few minutes while the oatmeal heats. 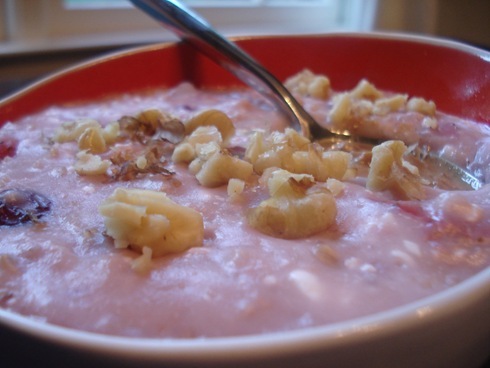 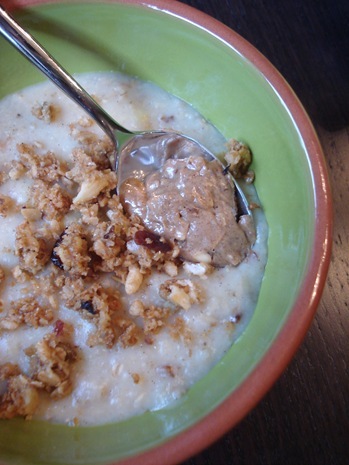 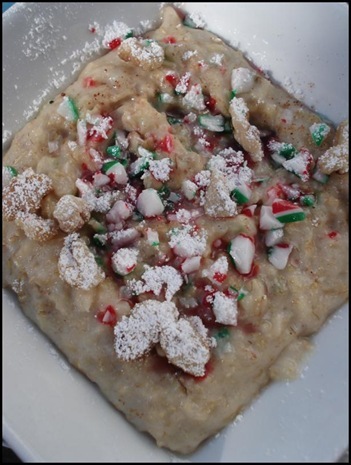 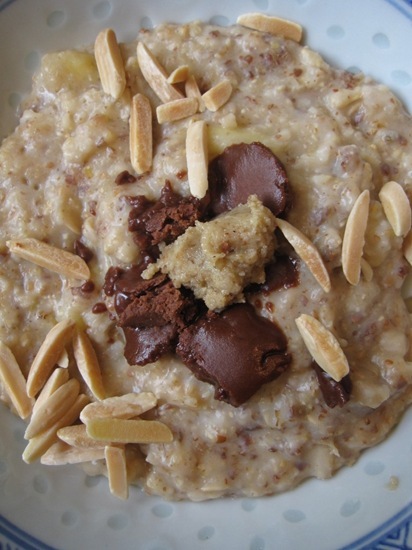 Once it begins to steam or bubble, stir vigorously at times to “whip” the banana into the oats. 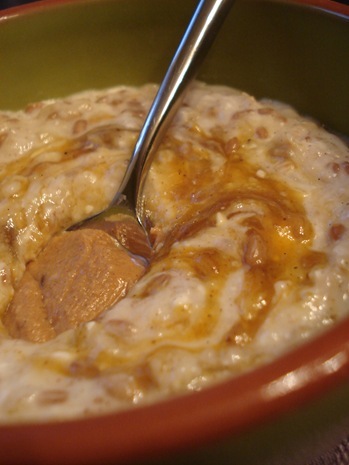 The oats will take about 5 minutes on medium heat from start to finish to fully absorb the liquid. 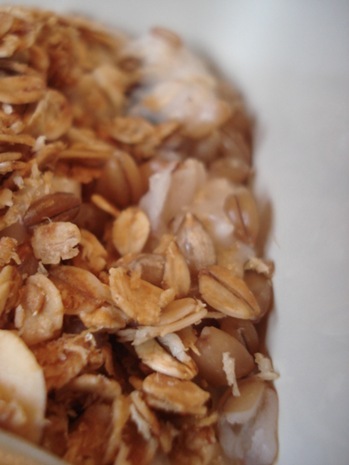 They’re done when they reach your desired consistency! 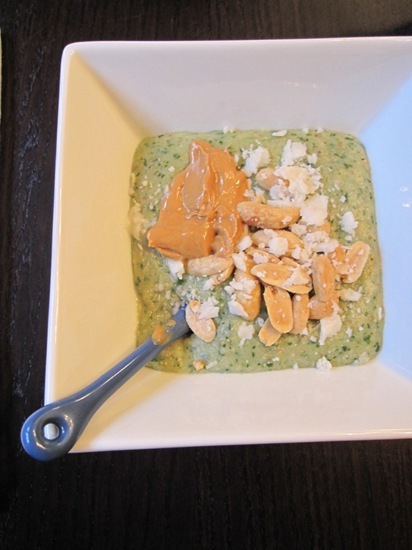 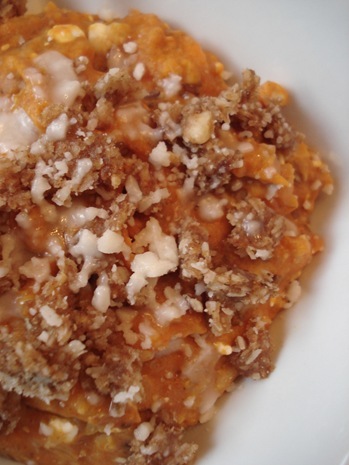 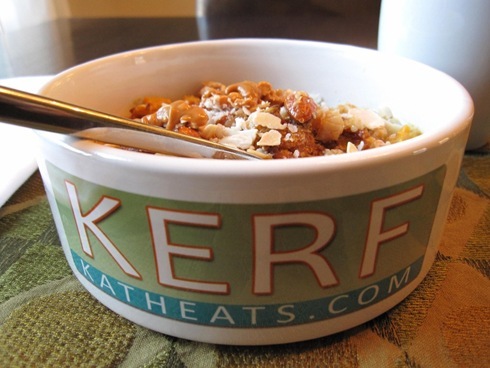 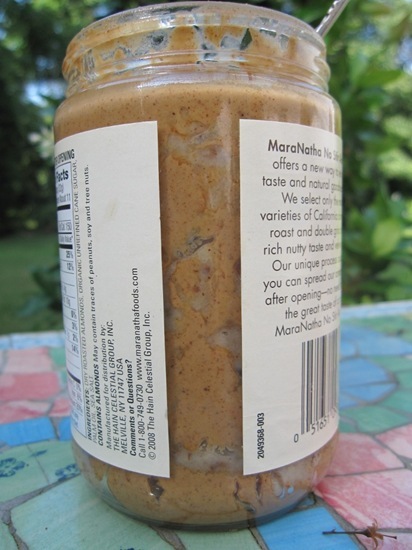 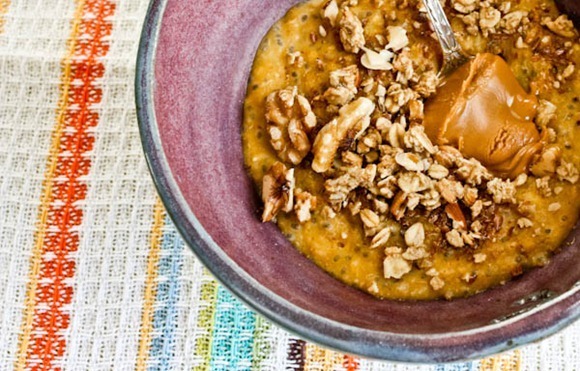 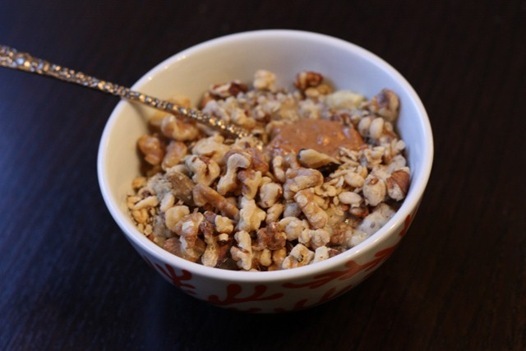 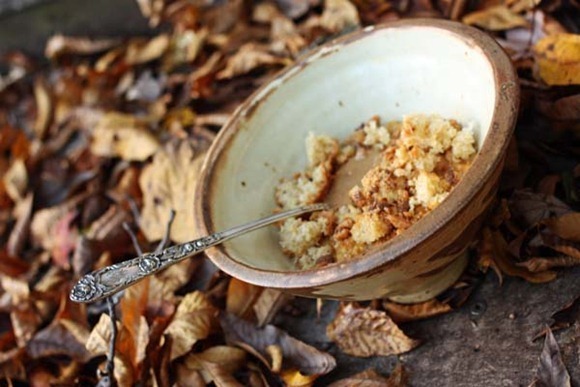 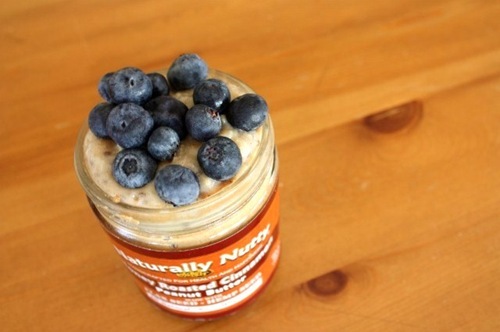 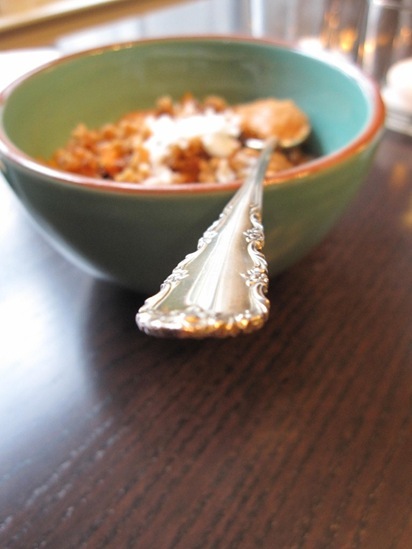 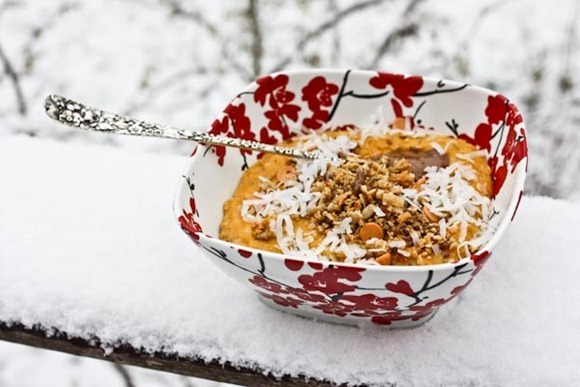 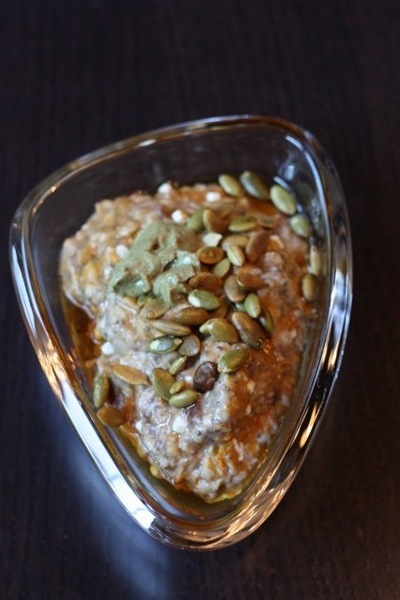 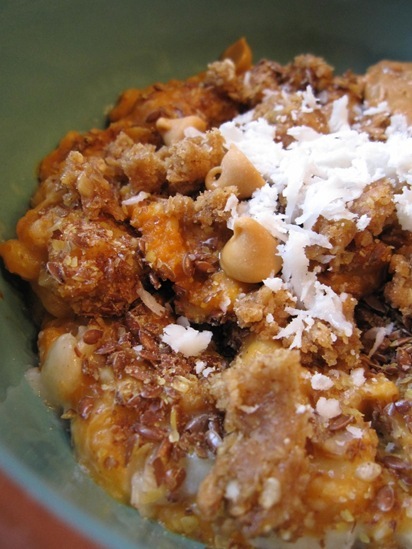 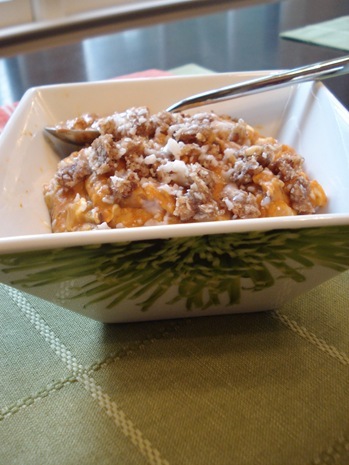 Stir in vanilla (and often pumpkin or cottage cheese) and pour into your bowl. 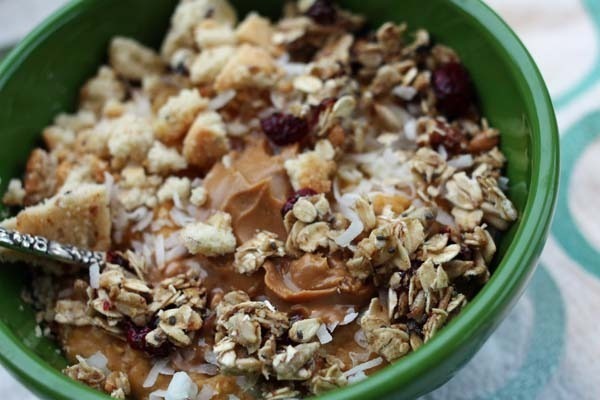 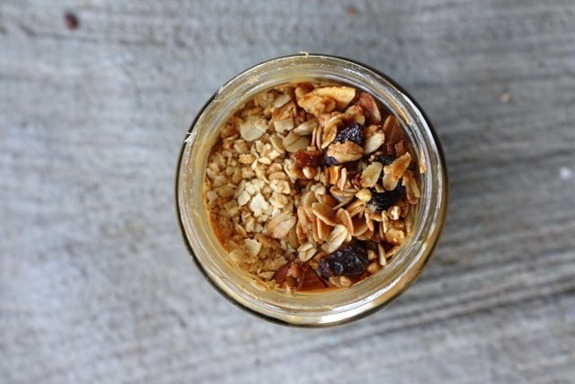 Add any toppings you like, such as almond or peanut butter dollops, nuts, granola, coconut, crumbled granola bars, or trail mix – with dark chocolate chips! 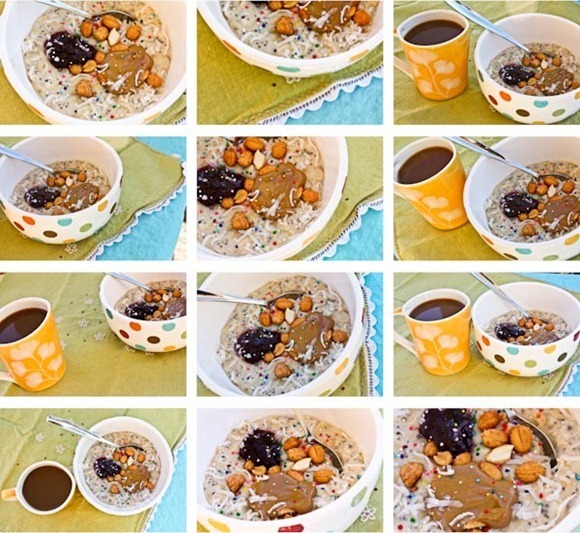 Or check out all the combos listed below. 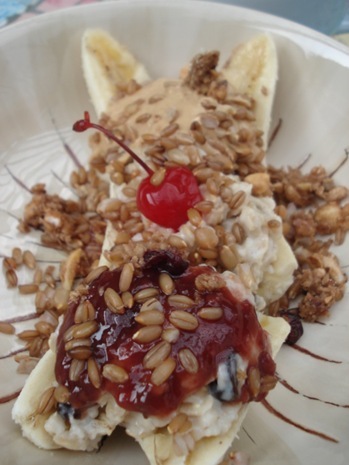 A real cherry on top! 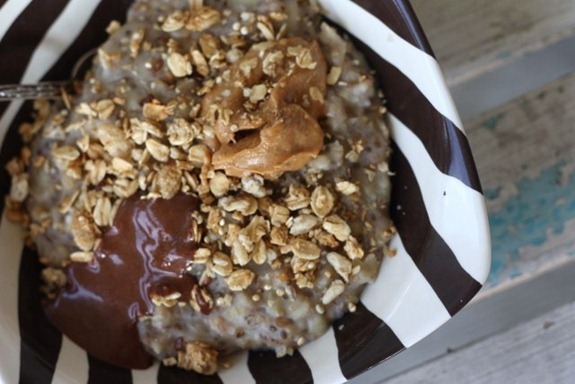 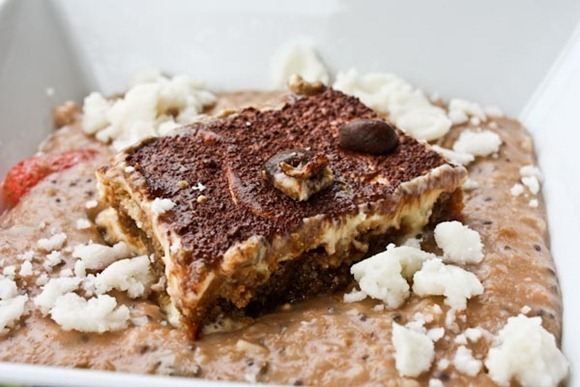 You can’t beat melted chocolate for breakfast! 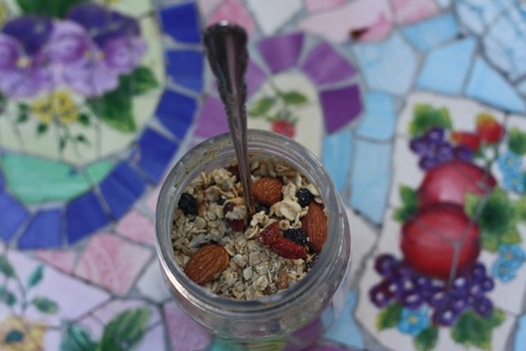 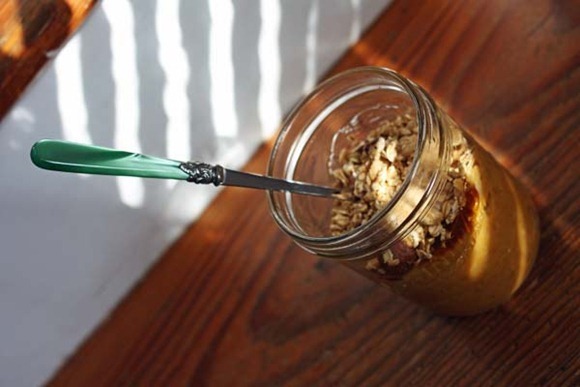 Almond liquor, almond meal, almond coconut granola, toasted almonds, almond butter. 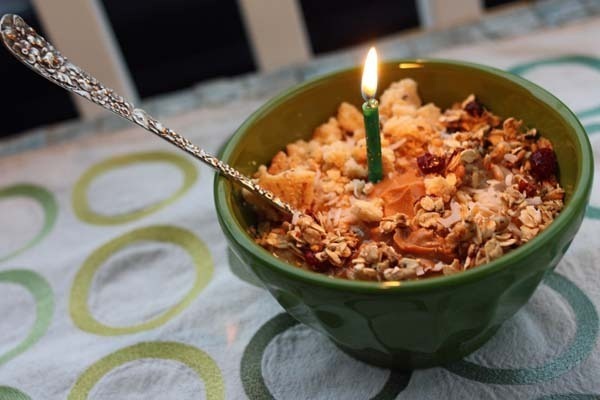 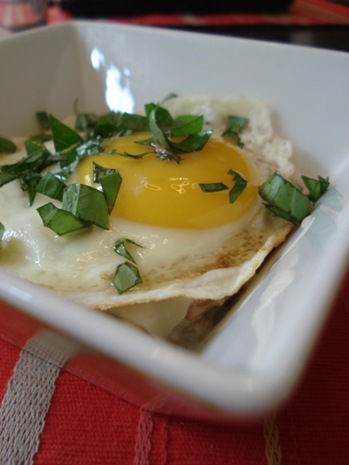 Here’s to the best breakfast ever! !